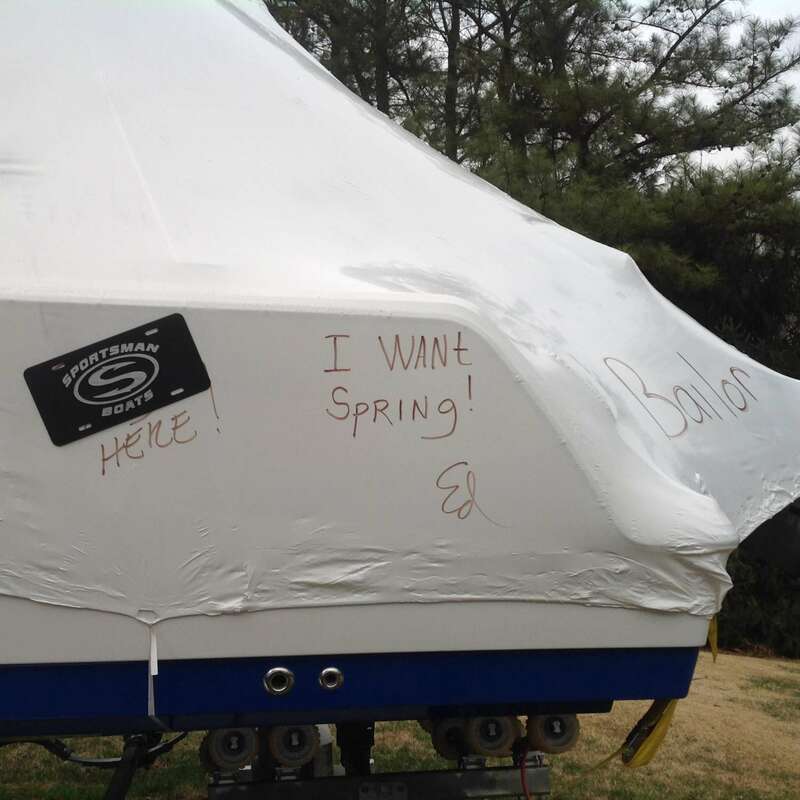 The driest 23ft boat on the market!!! 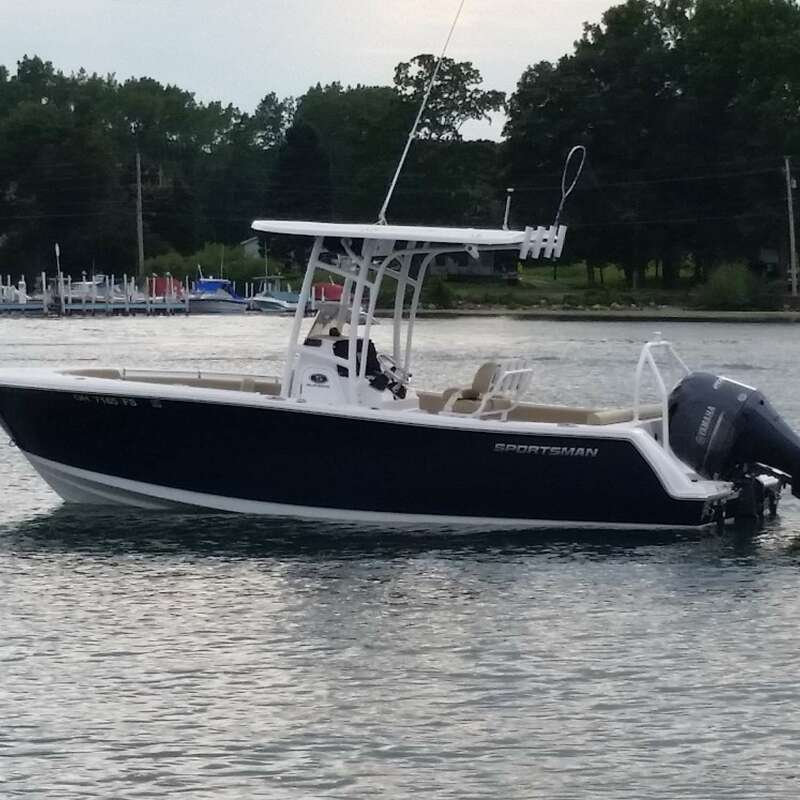 Best possible boat for the money! 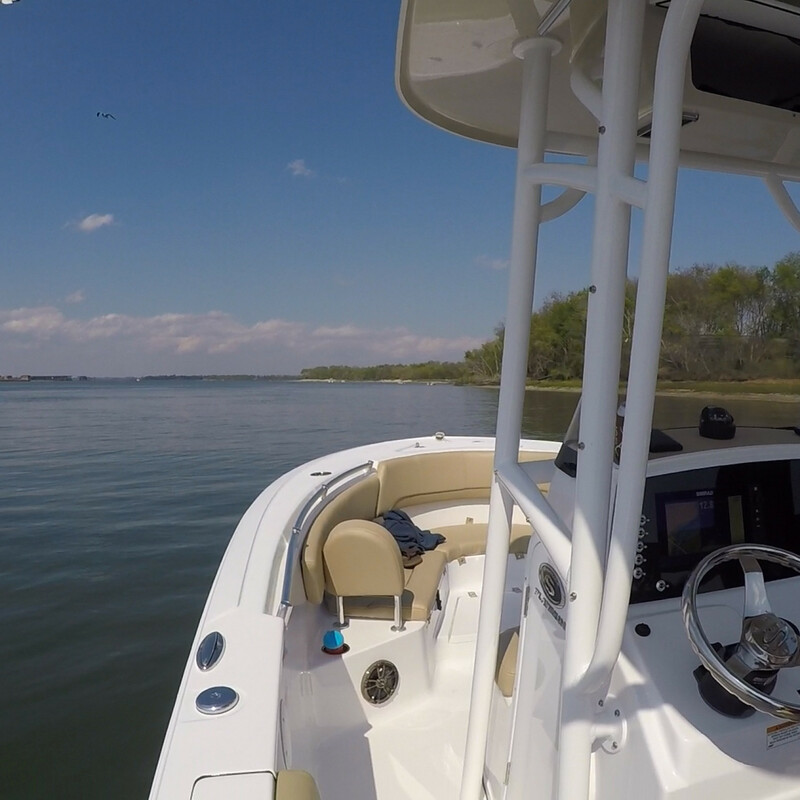 We love this boat because it can do it all! 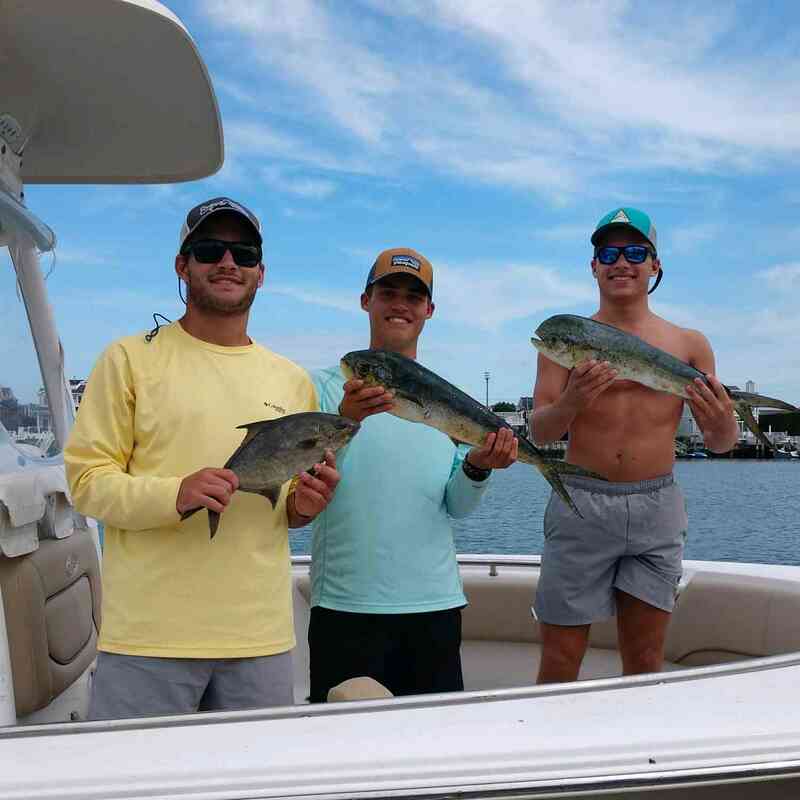 We can take a few out fishing or pack the whole family in for a day at the beach. It doesn’t matter what we throw at it, it handles it all well! 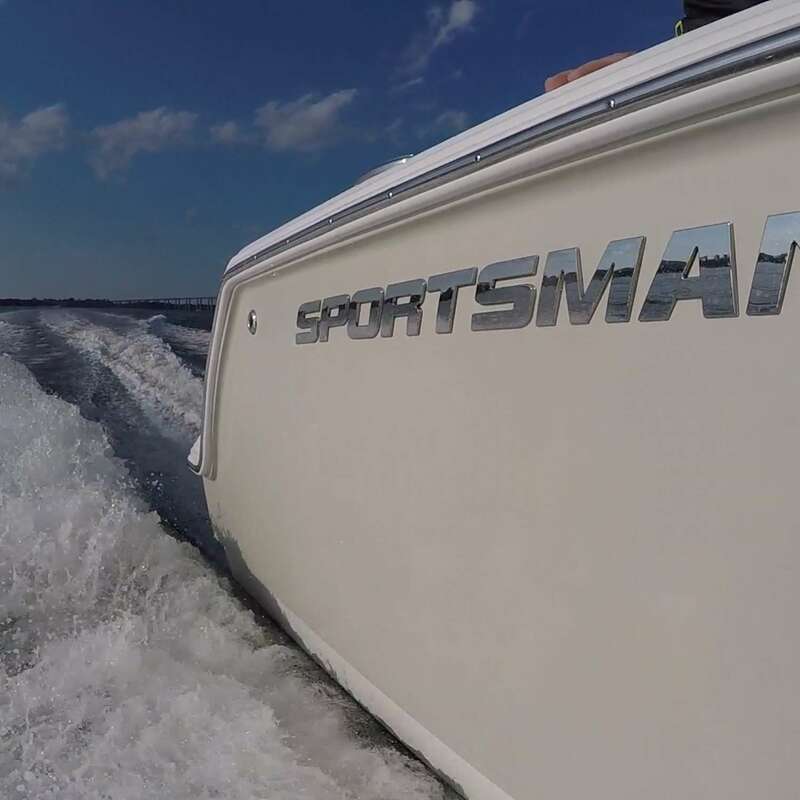 The Sportman turns heads whenever we go and we are proud to let people know how wonderful this boat is! 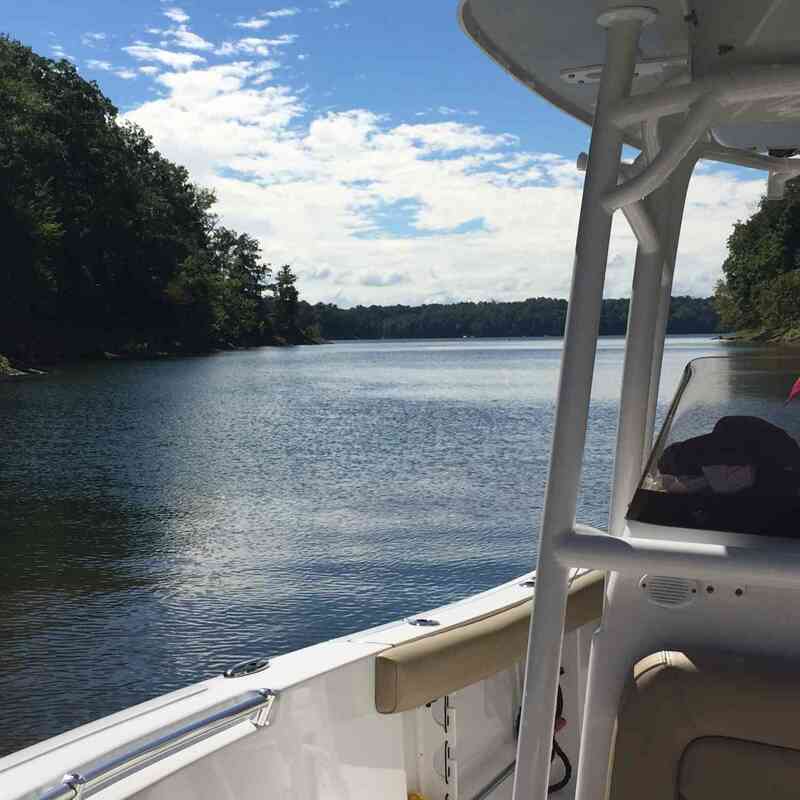 It is the first boat my family has ever owned and we definitely made the right choice. 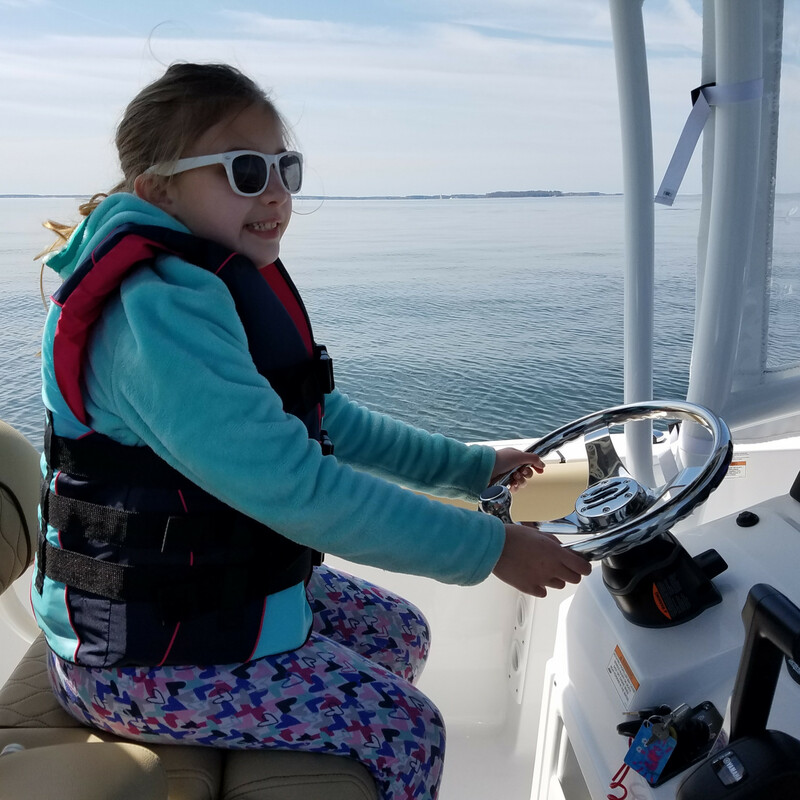 The boat is really perfect for my family because my parents love to entertain and take it to restaurants and then my 2 brothers and I are starting to get into fishing. 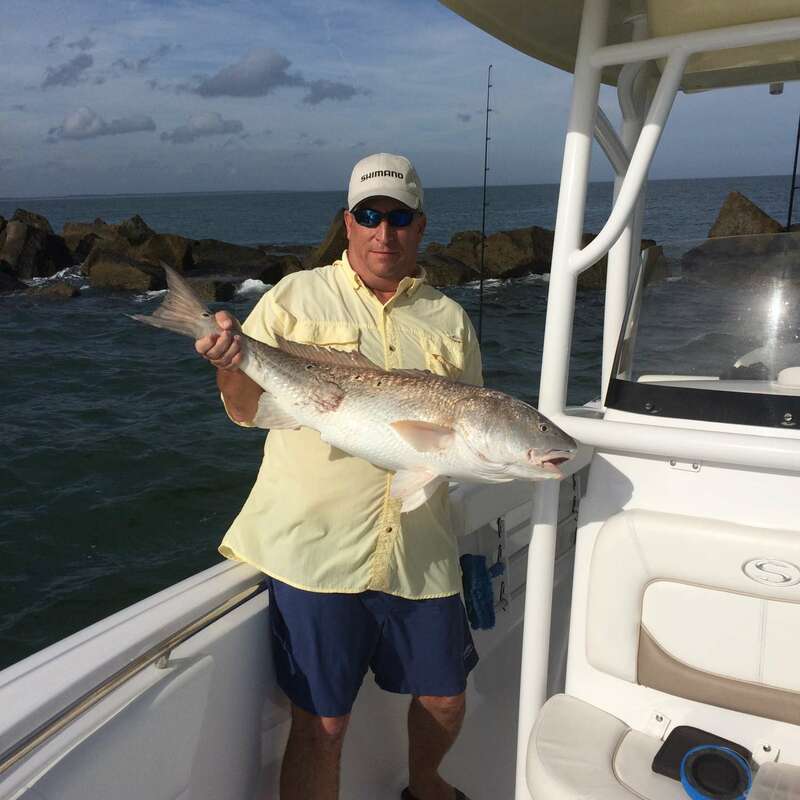 We occasionally fish in the bay but we really love shark fishing just a few miles offshore. We have taken it 40 miles off the coast and it has performed great both times. 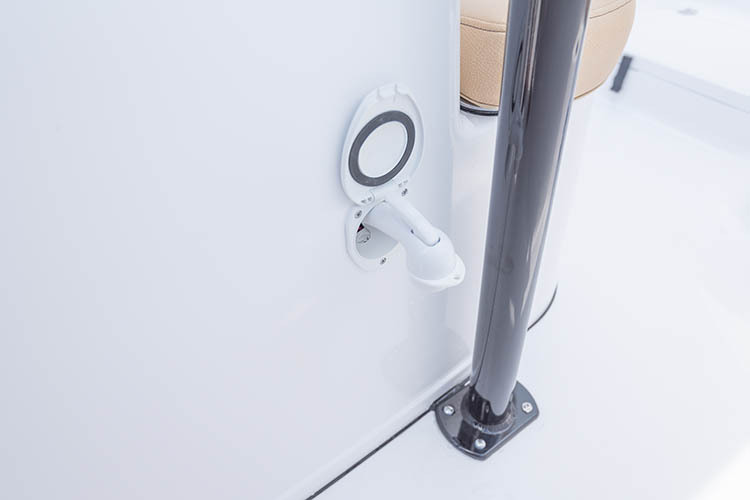 The recessed LED navigation lights are pretty sweet, and super bright! 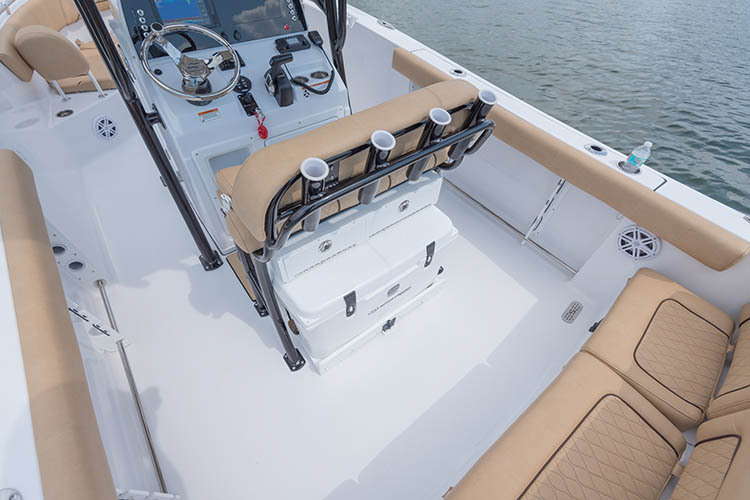 Love how well the Boat handles, the big bow platform, big stern platforms, 5gal bucket holders under rear seat and not to mention the comments we get from people at the sandbar how beautiful the boat is. 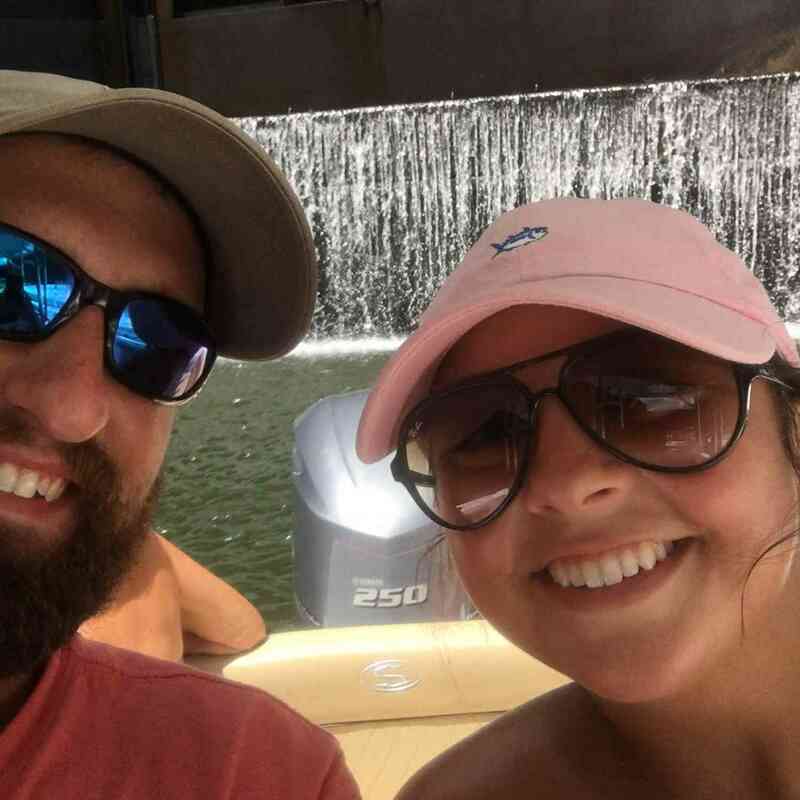 We just got out sportsman last week and have had so much fun already! 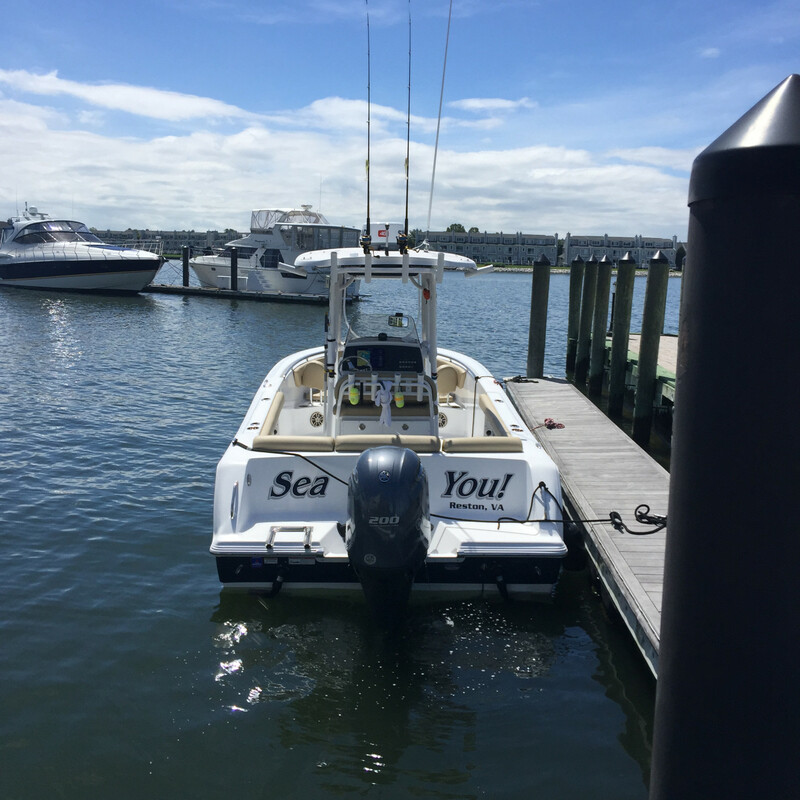 We brought it to ocean city md and have been fishing and watching the white marlin boats come in by docking on an island in the bay, much better view that standing in a crowd on land you cannot see through! 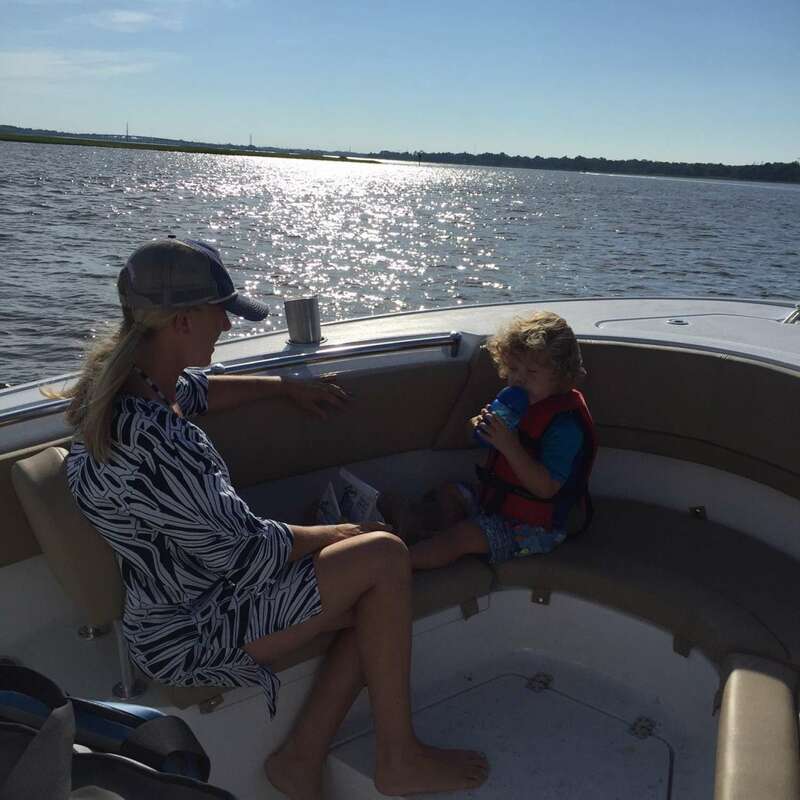 Our families love the space it has for everyone and how well it takes the water and waves ! Comfortable and spacious. 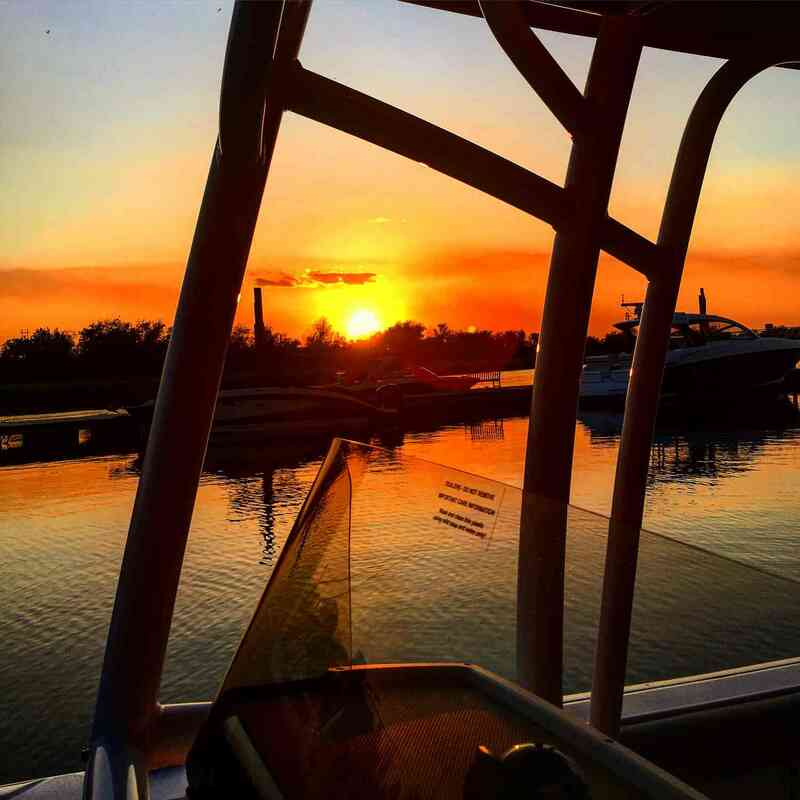 Can easily take a group of people on a harbor cruise or out to dinner at Shem Creek. 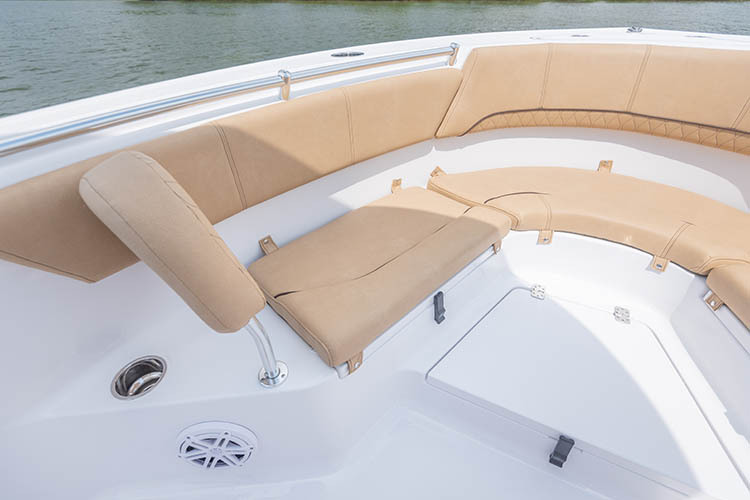 Plenty of comfortable seating and lots of storage for all your stuff. 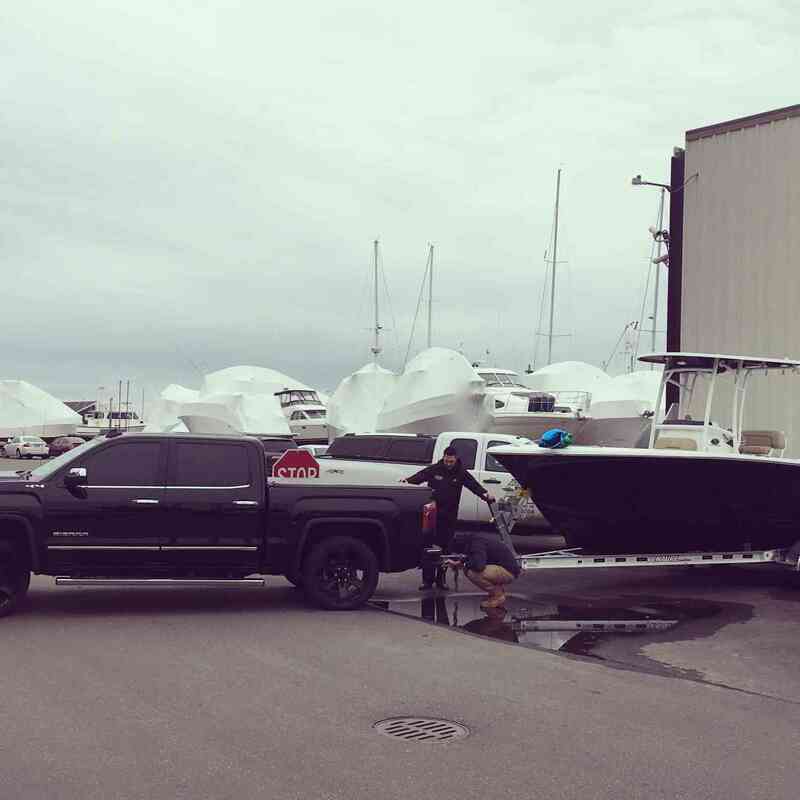 Hull design keeps everyone dry. 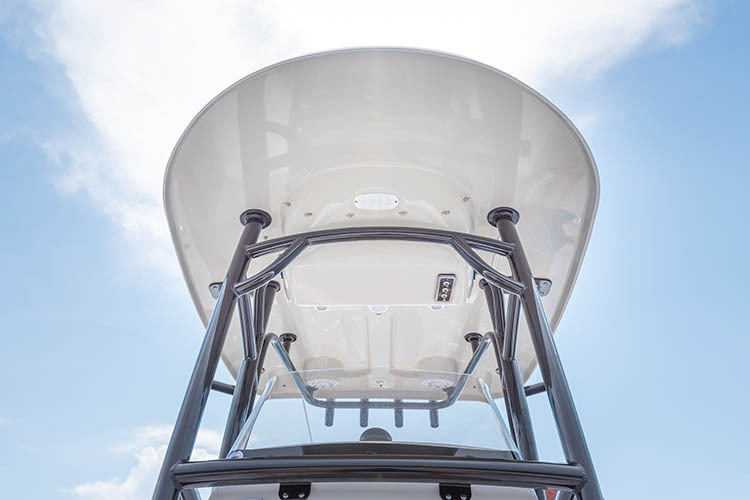 The rear access hatch and the second MFD. 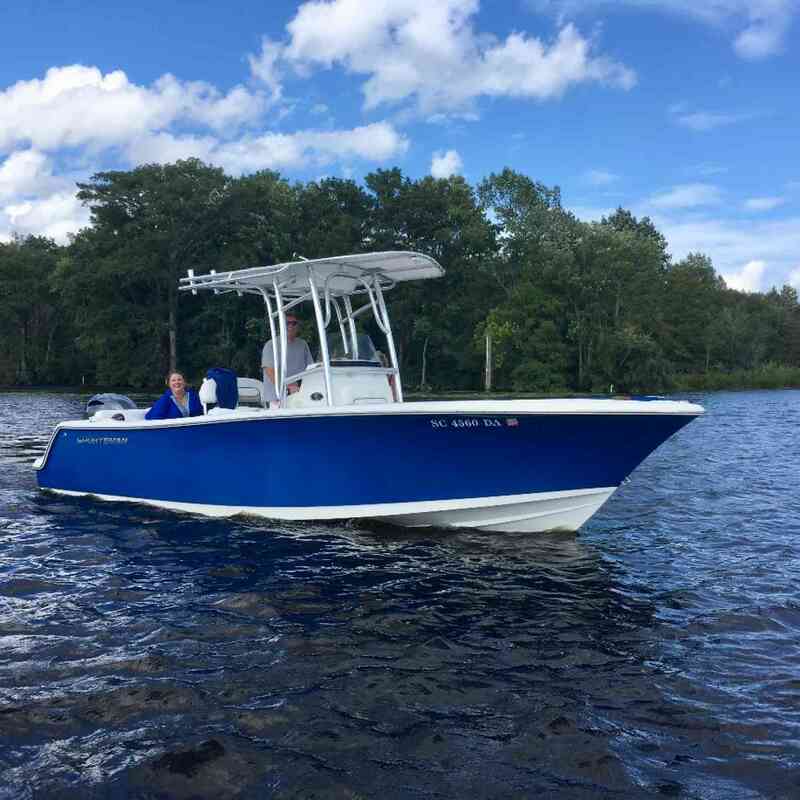 Also the dry ride, great all around boat! I love the ride, the dealer service, and also the seating capacity of the 231 Heritage. 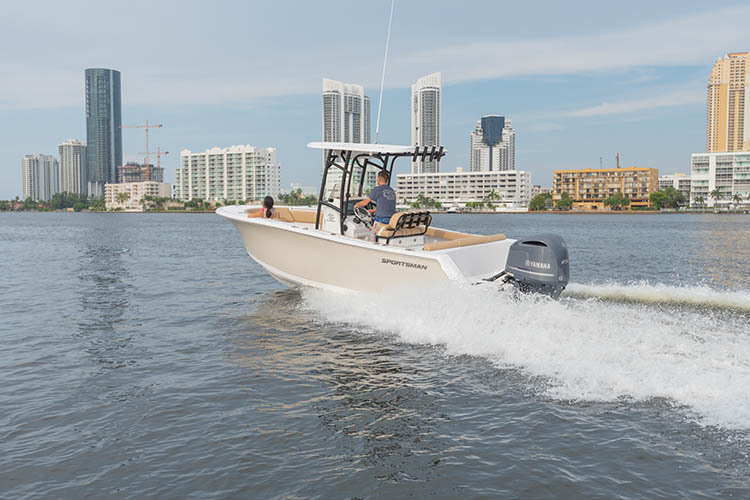 The versatile of the boat is unlike any other boat on the market. 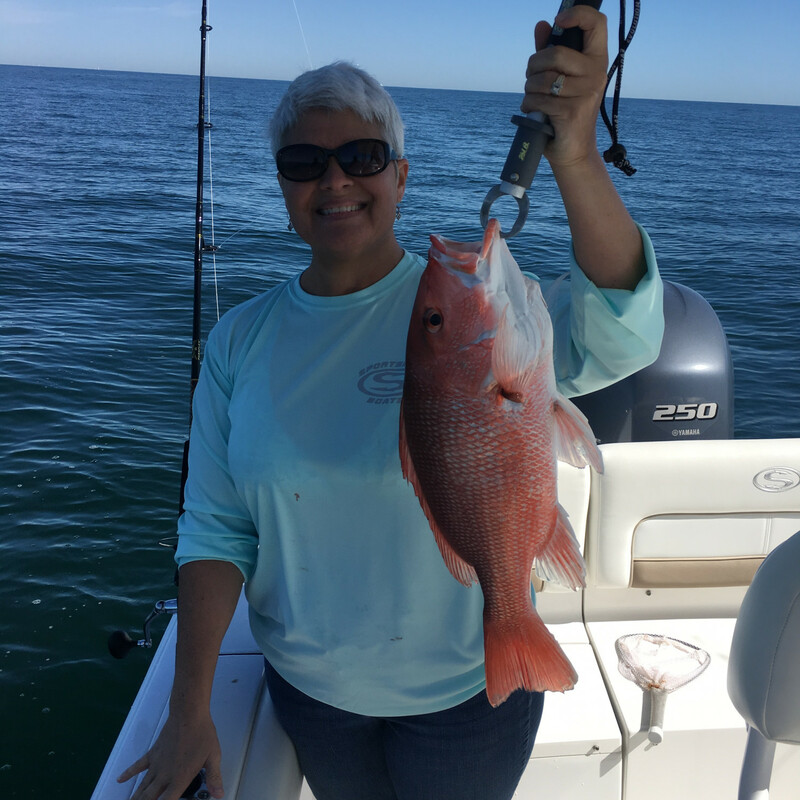 I can use it for family time and fishing. Plus it draws attention anywhere I go. Plenty of room to hold a family and then some. 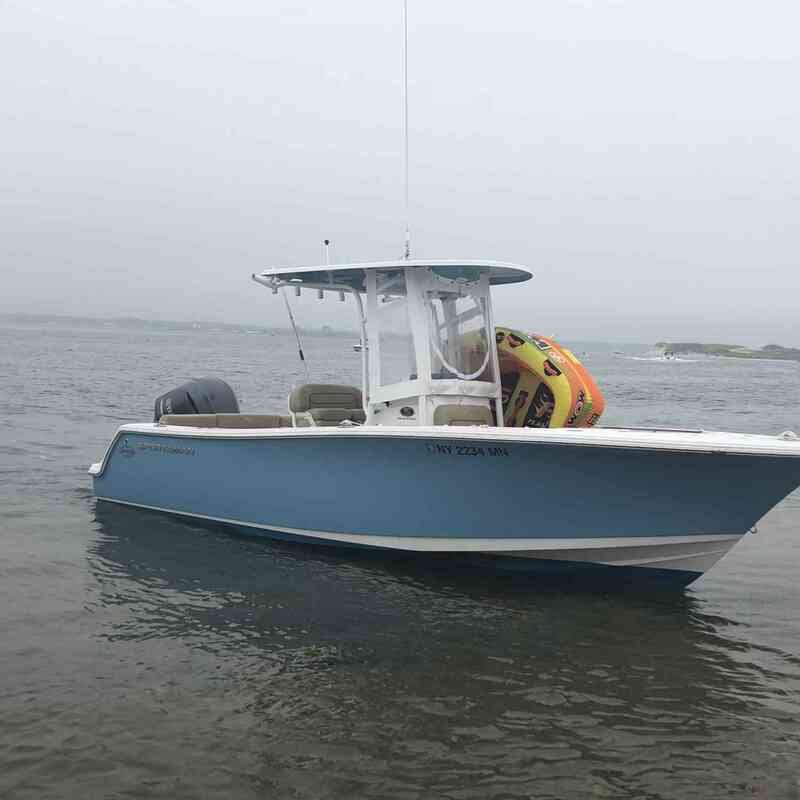 Hull design handles the chop in the harbor well making for a dry ride. 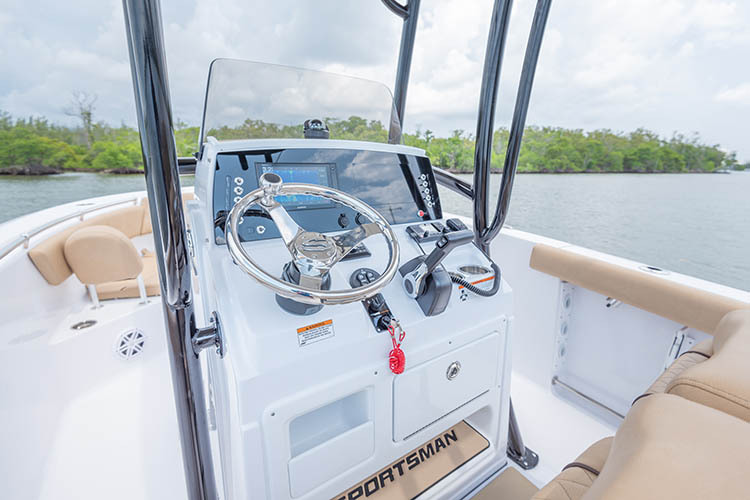 Our sportsman boat makes everyone happy, Dad, mom and even the teenage boys. 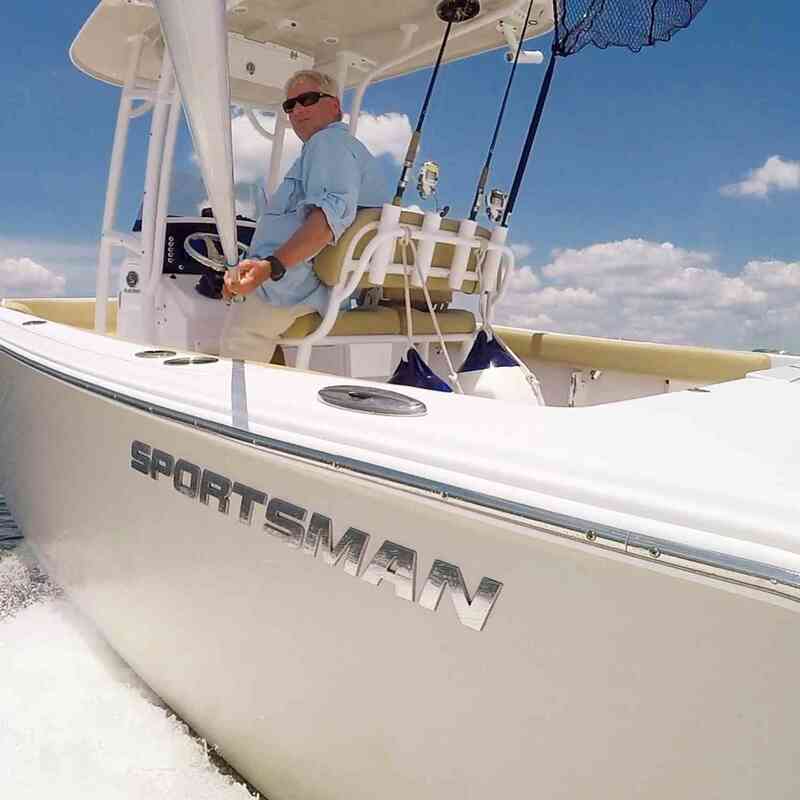 We love our sportsman! 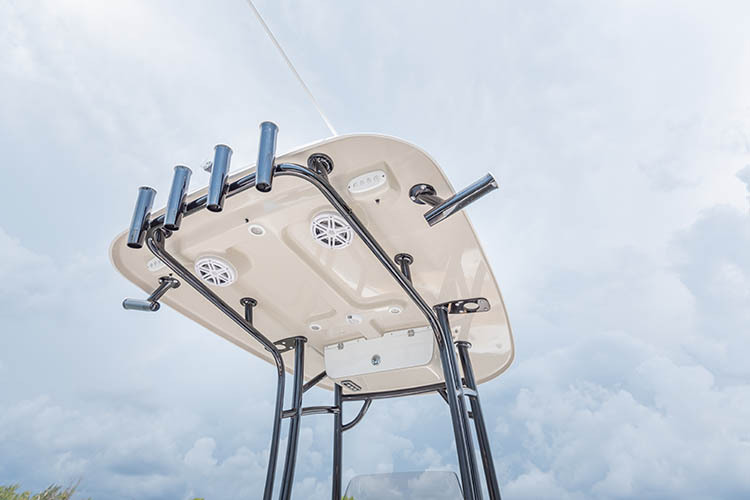 CC for fishing, back rests for sunbathing, ski pole for entertainment! 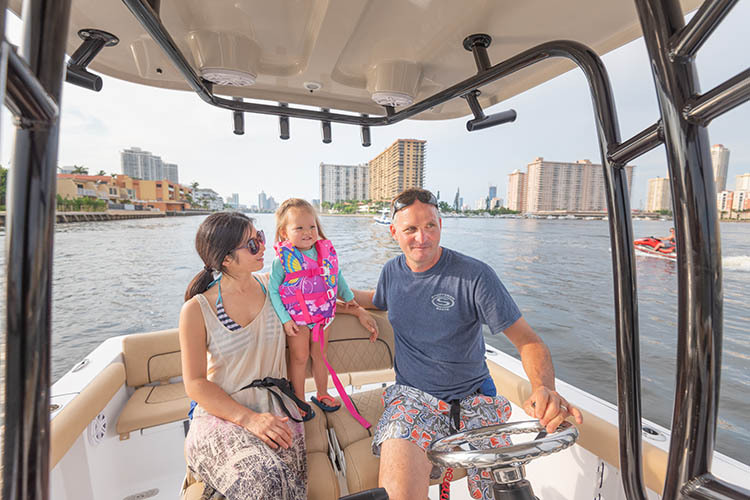 Perfect family vessel. 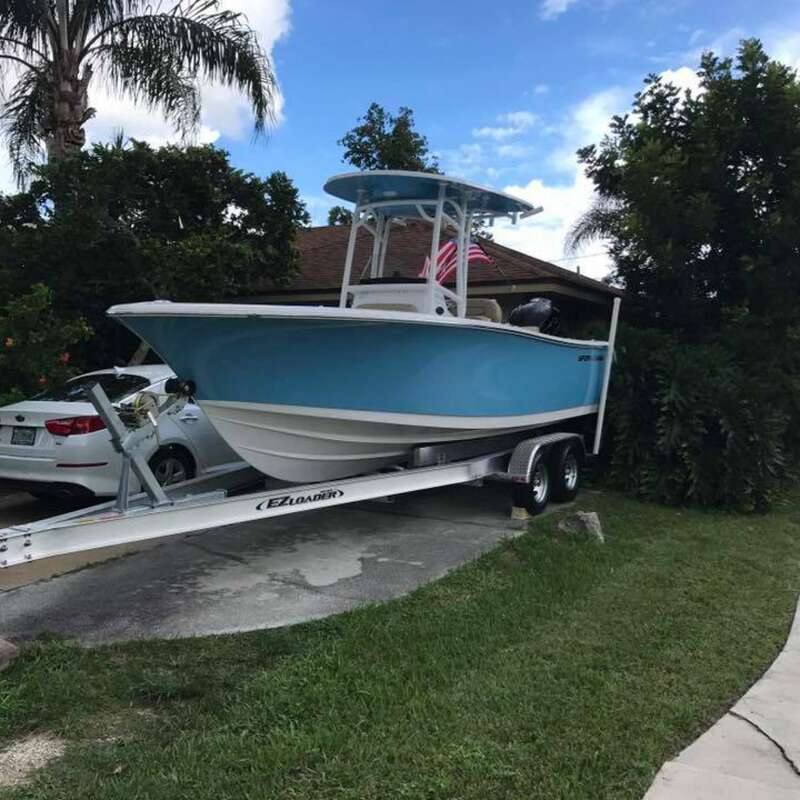 Great boat ready for anything. 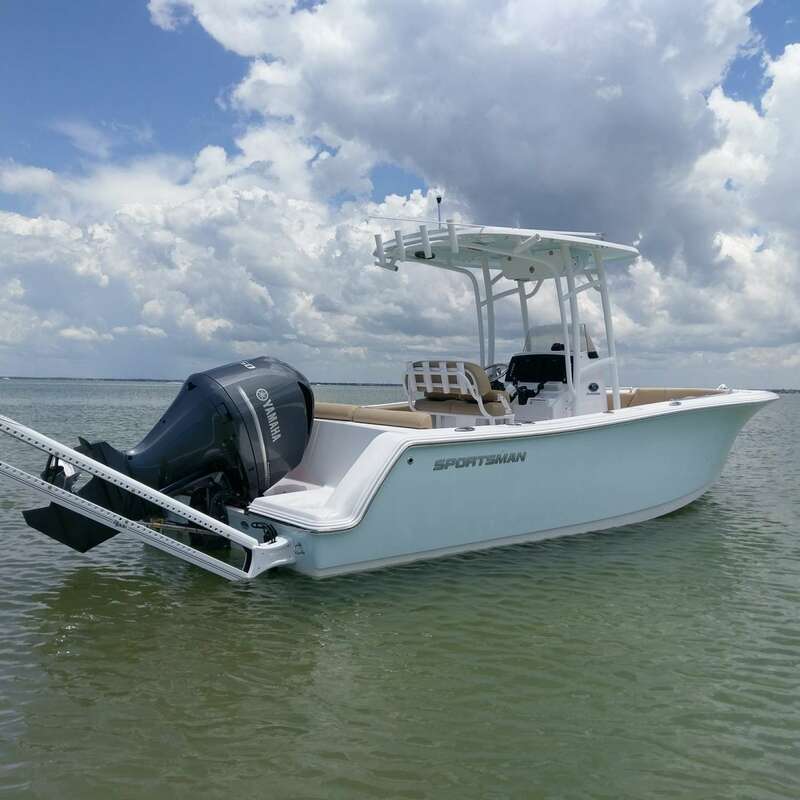 Fun day on the water with the family or fishing offshore the sportsman 23 does not disappoint. 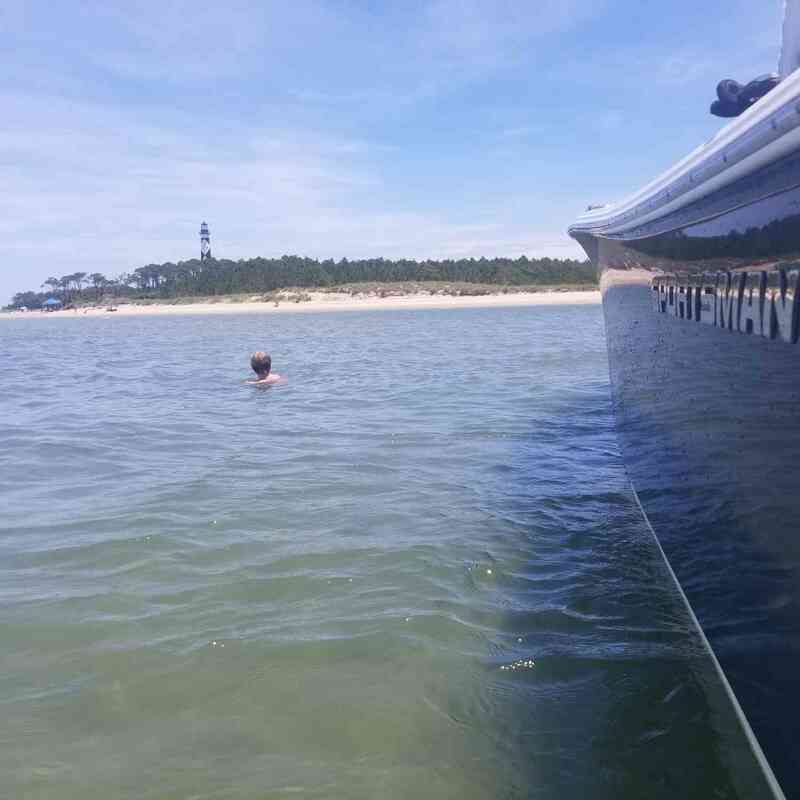 My son is enjoying the view at Cape Lookout NC! 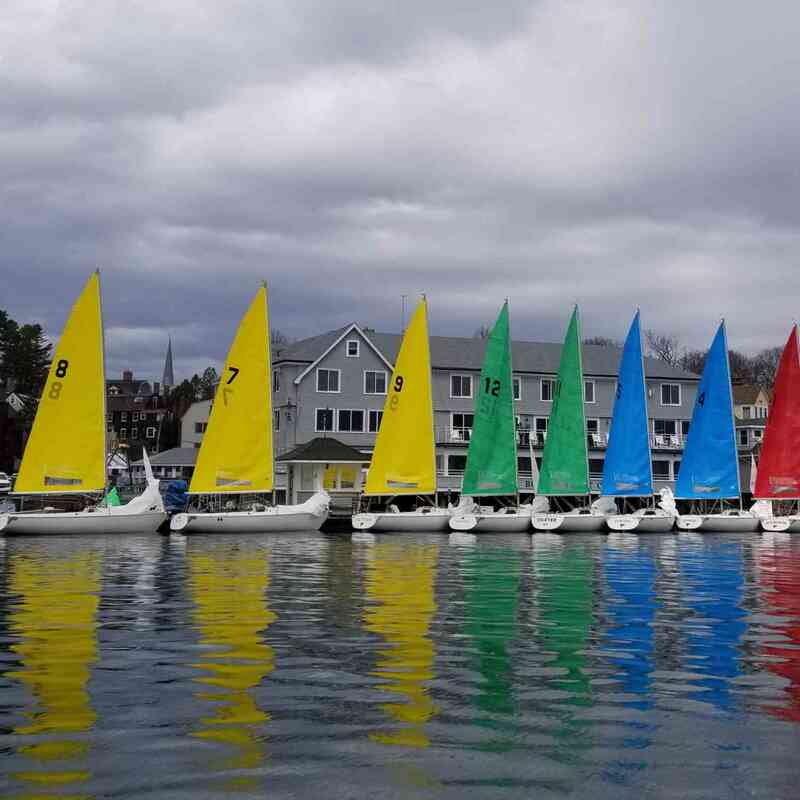 Always a fun time - great alternative to sailing. just about everything. great ride, pretty dry and very social out with friends. 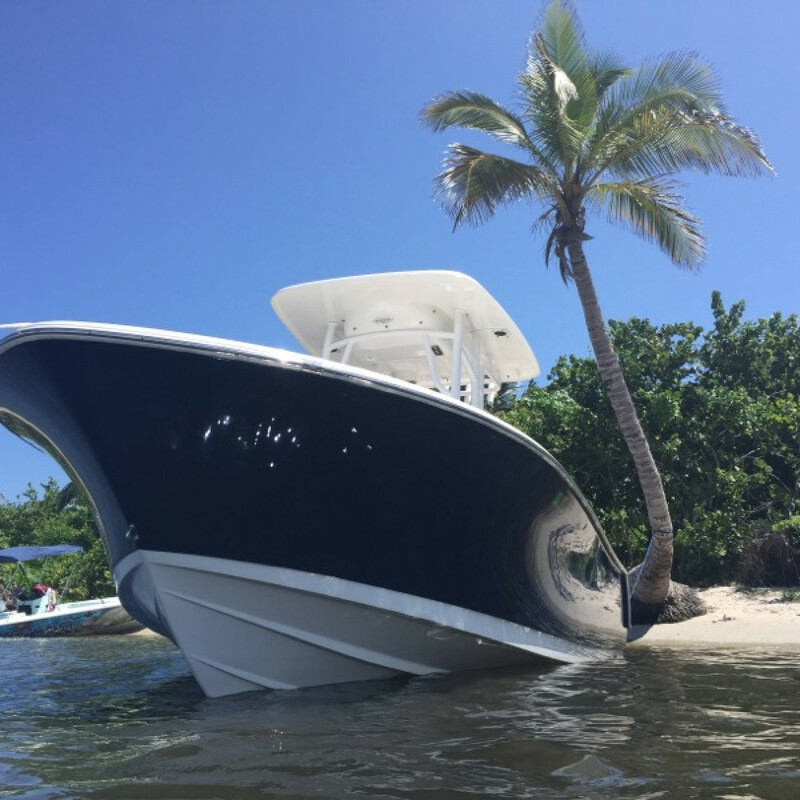 The reliability of the boat. Also the great set up to fish multiple kids at the same time. 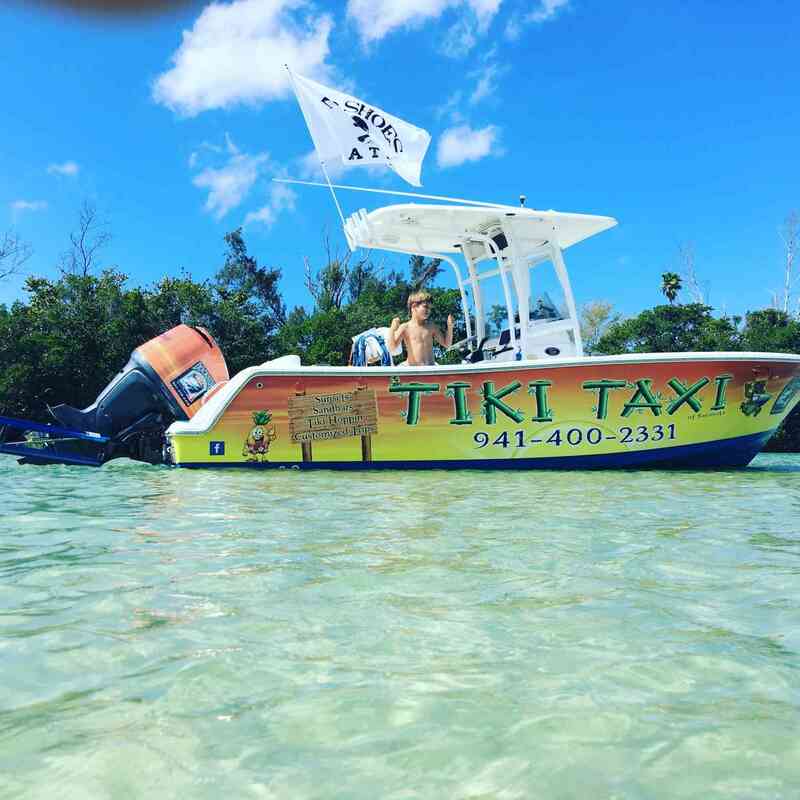 The boat also keeps us very dry on a choppy bay. 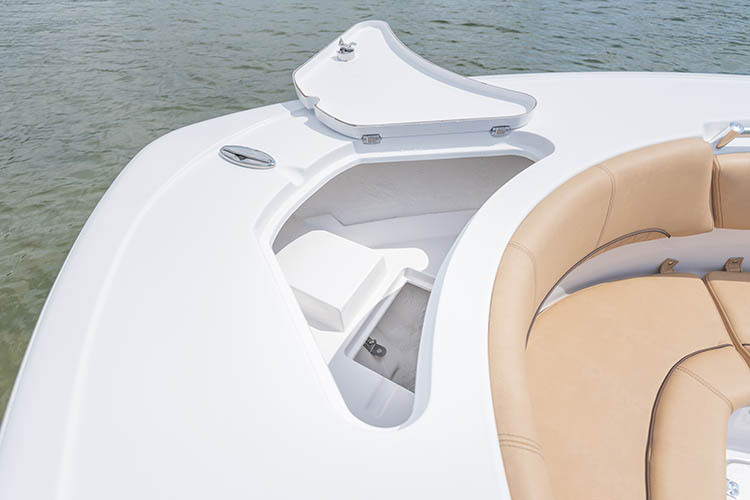 Hull design gives passengers a smooth and dry ride. 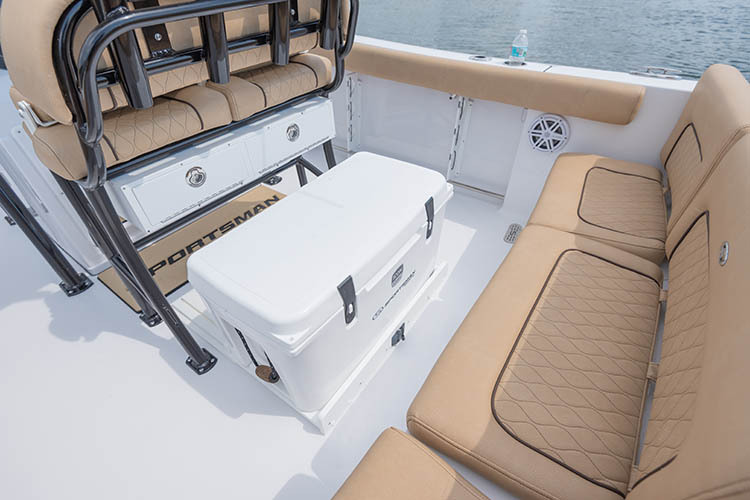 Plenty of seating and storage. 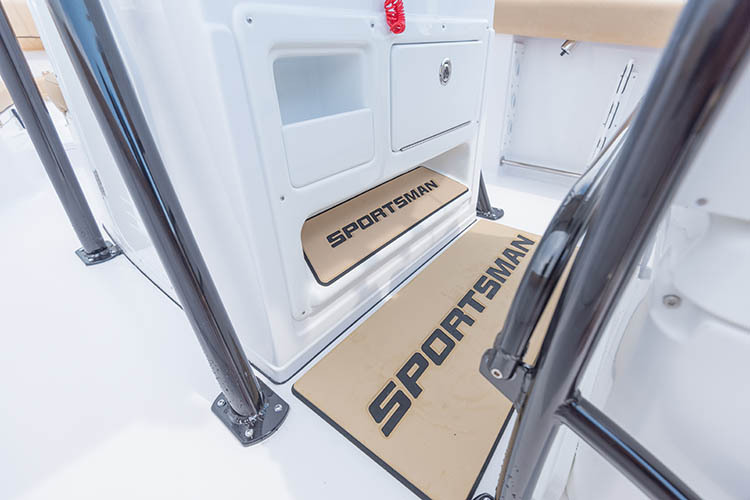 High quality, rugged, practical, and durable design. There's not enough words to describe how much I enjoy it! 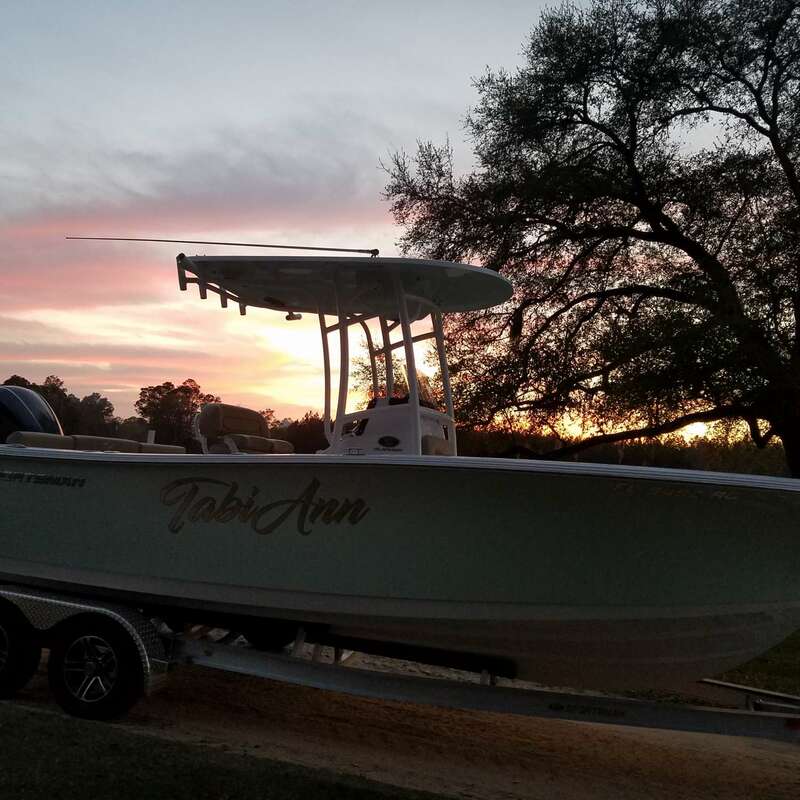 It’s a great all around boat. 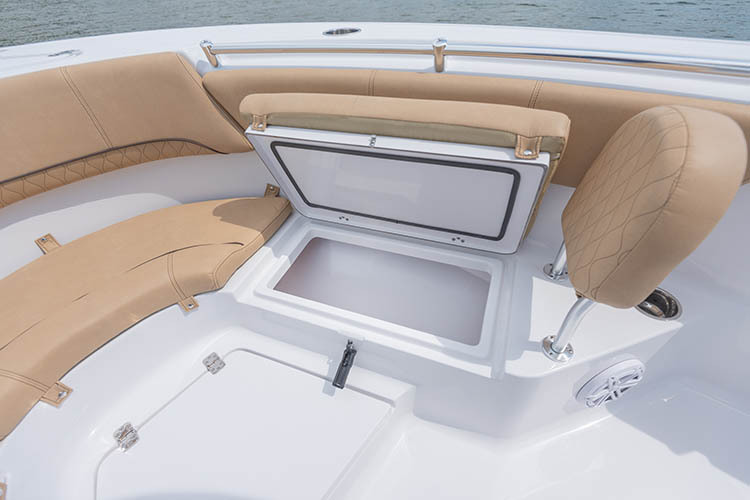 It is comfortable and there’s plenty of room for my family, friends and all of their stuff. 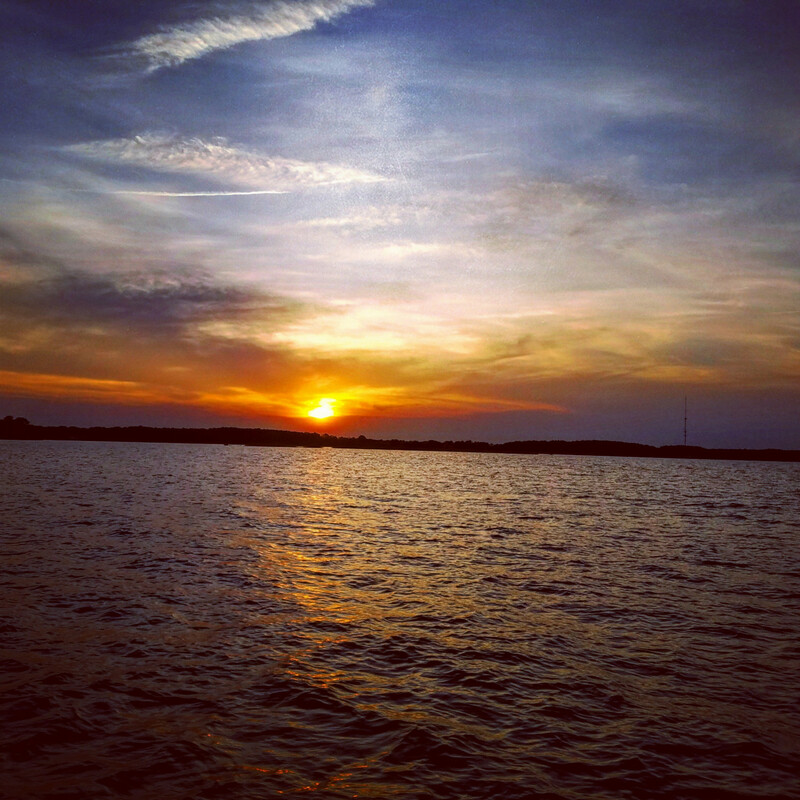 Any Sun Set On The Water Is The Best One. 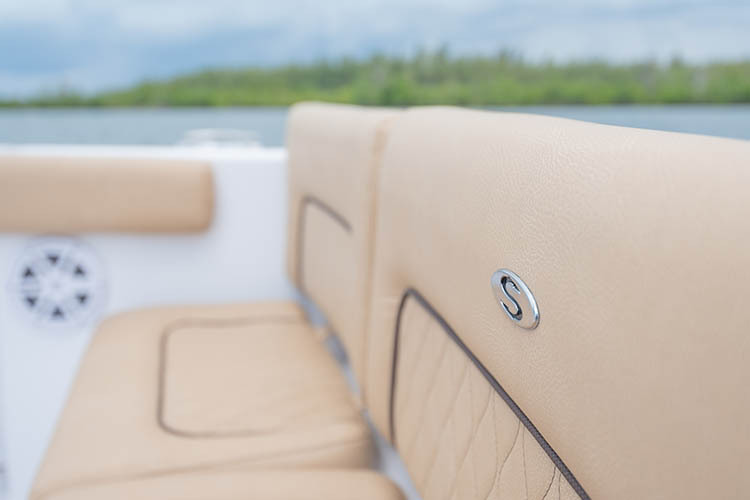 When it comes to a boat, comfort is the biggest priority. 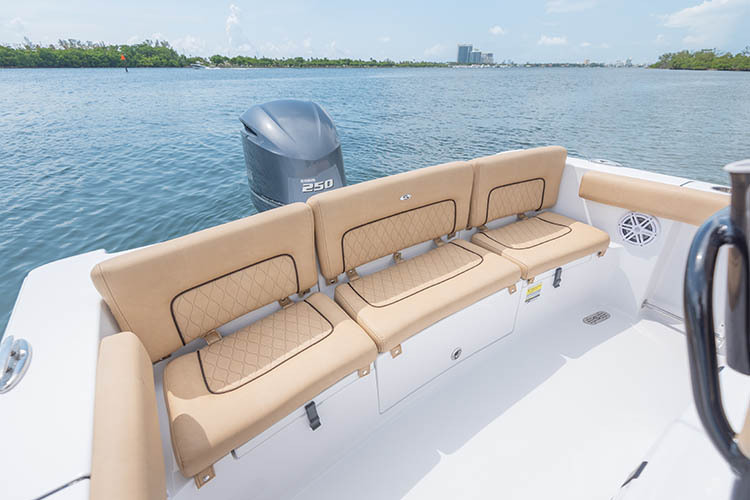 The spacious layout and set up of the Heritage 231 is unparalleled. 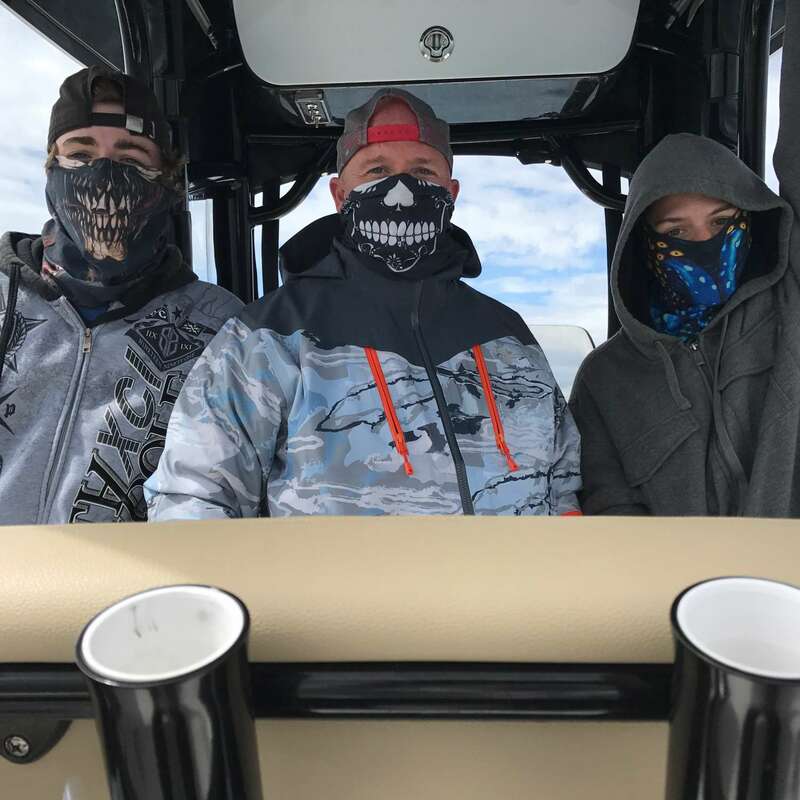 Match that with the balance and power of the Yamaha 250 motor and you get a package that is fun for the whole family. 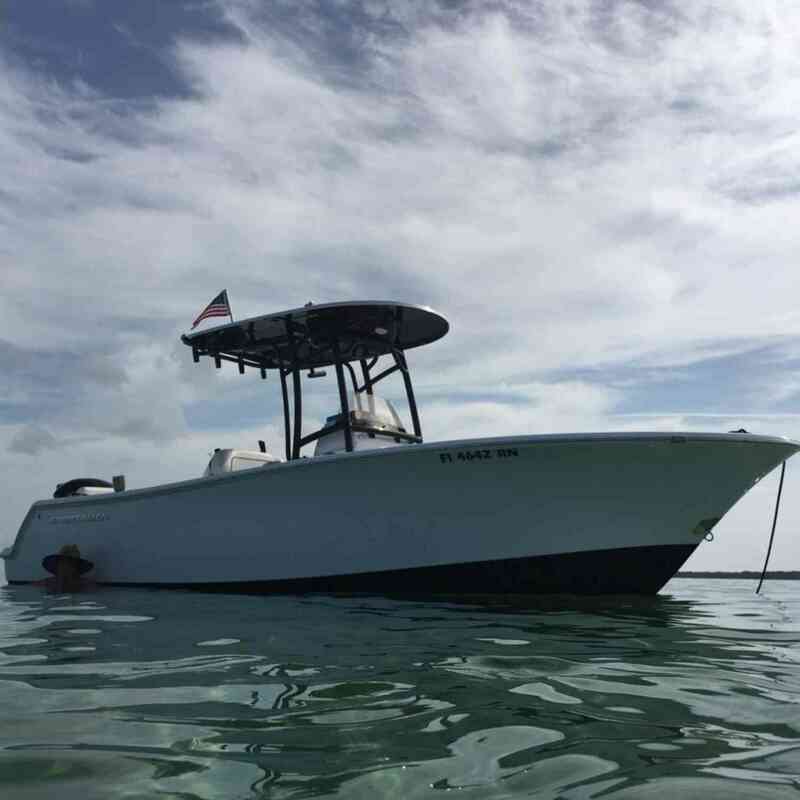 From sunset cruises to running offshore this boat has surpassed all expectations and desires. It’s our happy place, no matter what we’re doing! 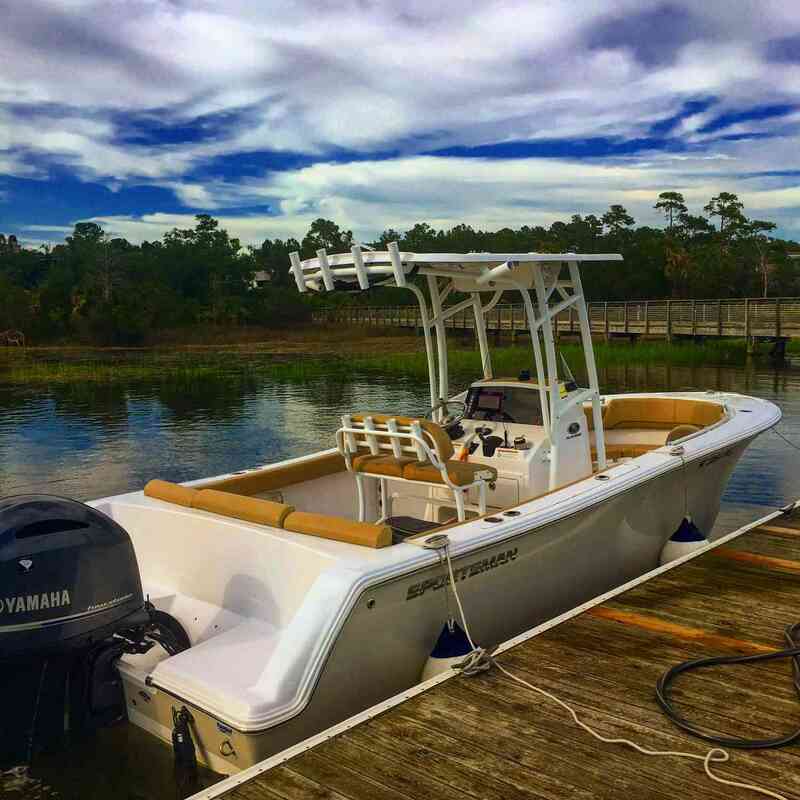 Great looking and riding boat. 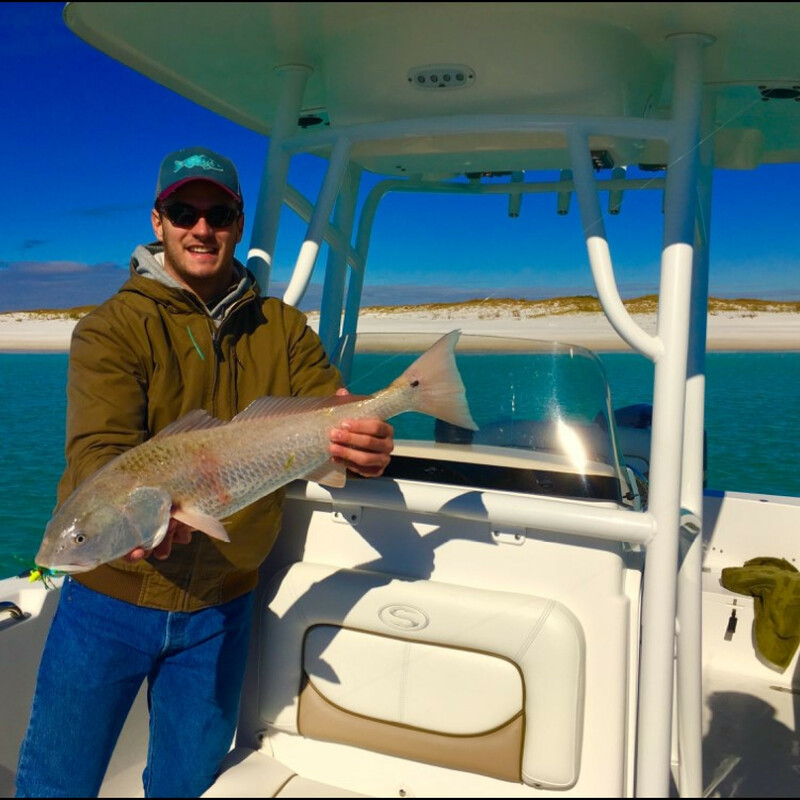 Brand new and great for the family and fishing!!! 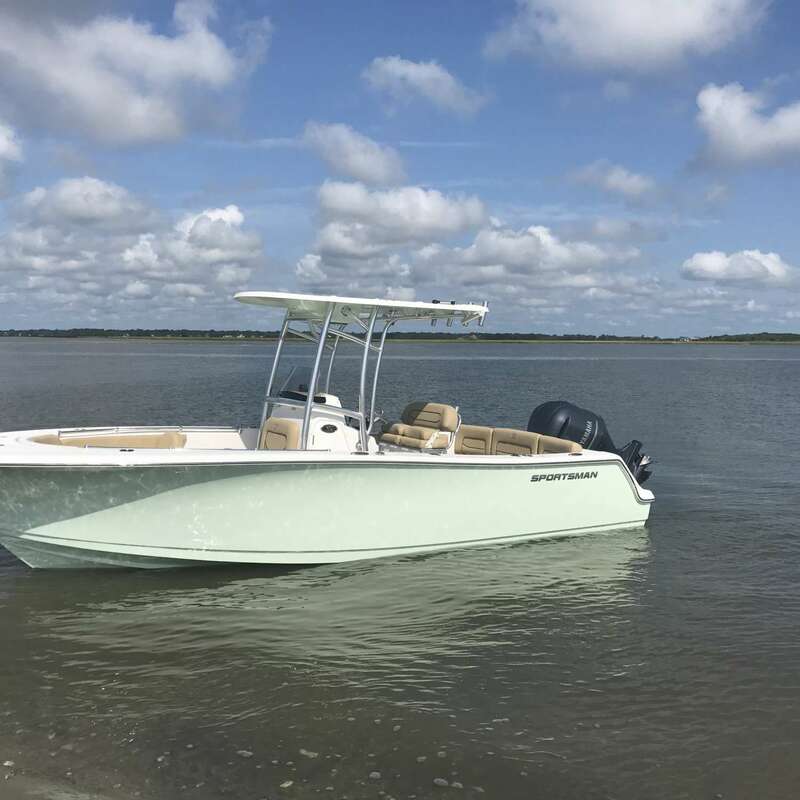 I love how versatile the boat is, from bay fishing for flounder in 3-4 feet of water to hitting wrecks shark fishing miles offshore. So far my favorite is the ride. I've only put about 5 hours on her but I can tell it's a quality boat. The layout of the deck is very well thought-out. I love how versatile my sportsman is. 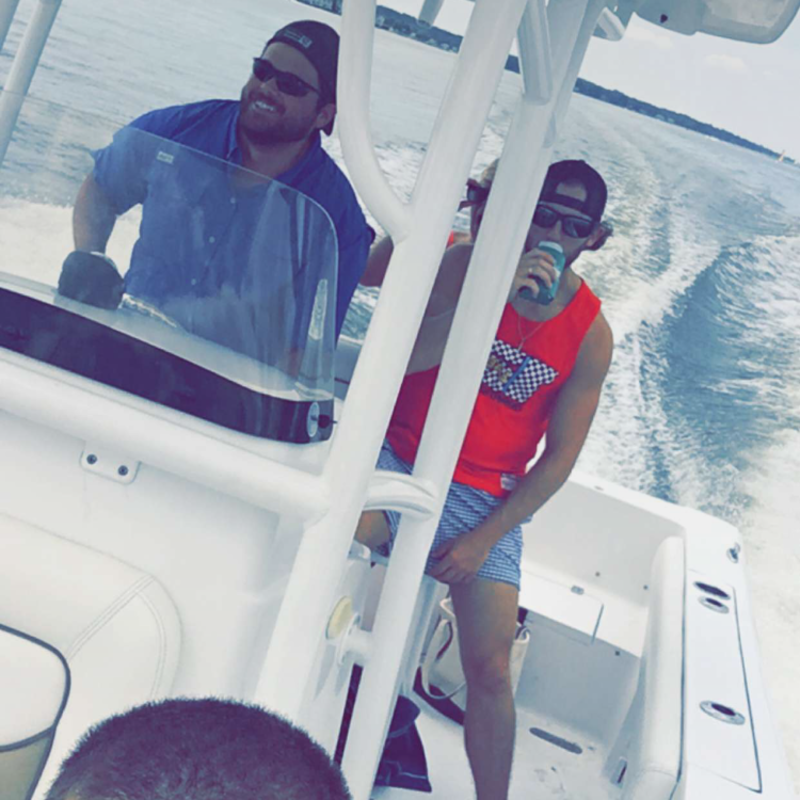 I can make a trip to gulf one day and take a crew to the lake the next day without sacrificing any comfort. 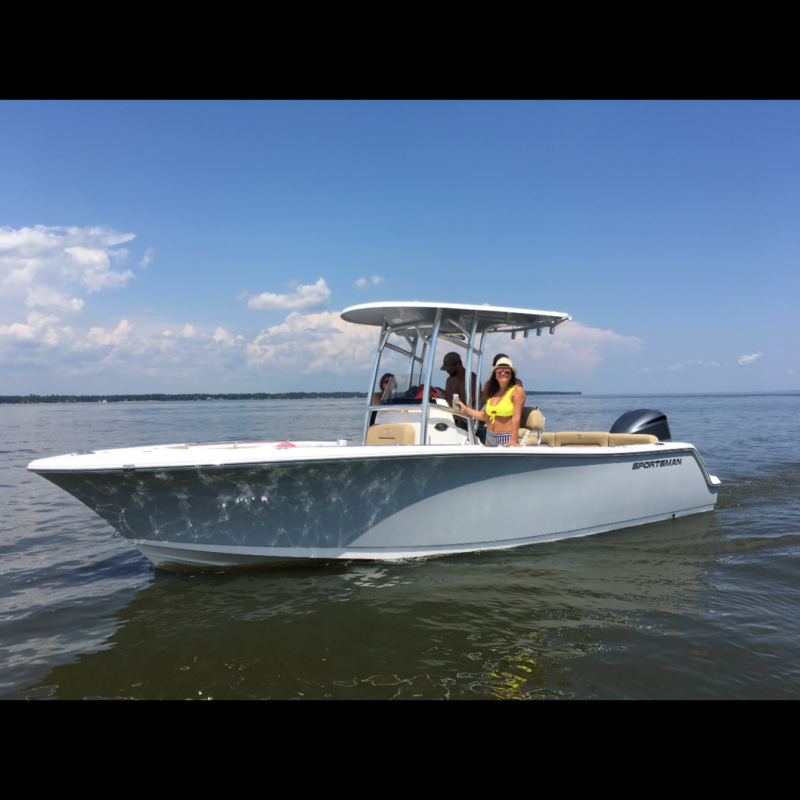 Great boat for kids and family or to go fishing with the boys love our boat. 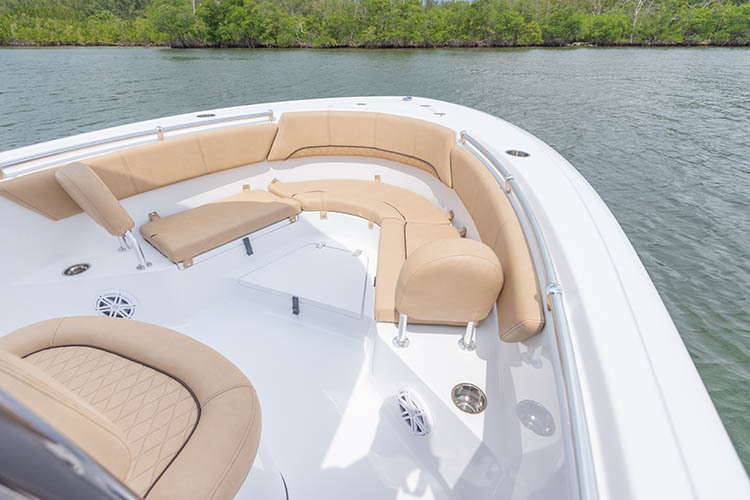 Spacious seating for entire family and a few additional friends. 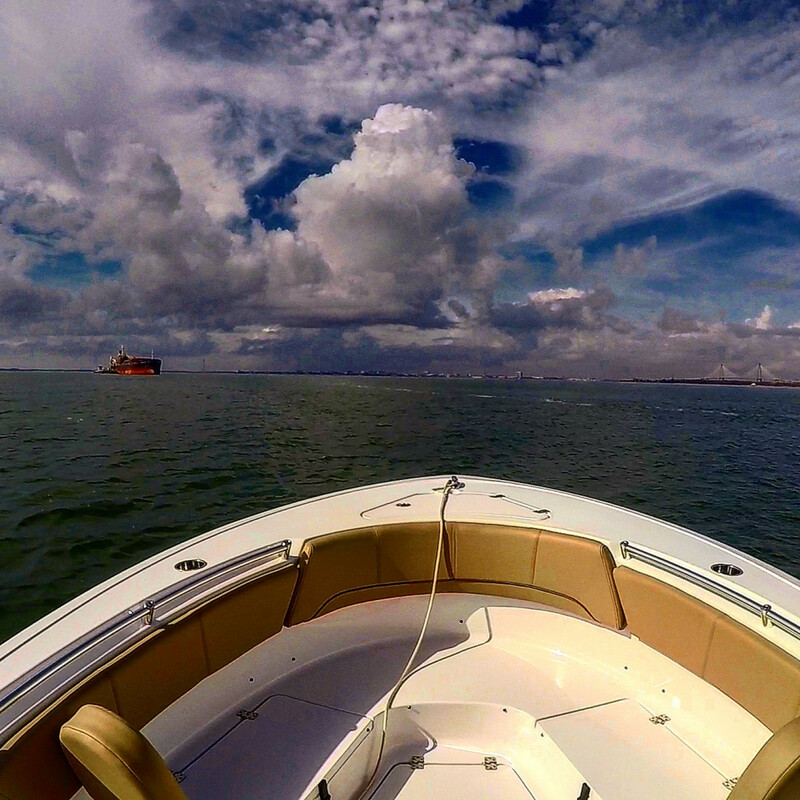 Nice dry ride in choppy water. 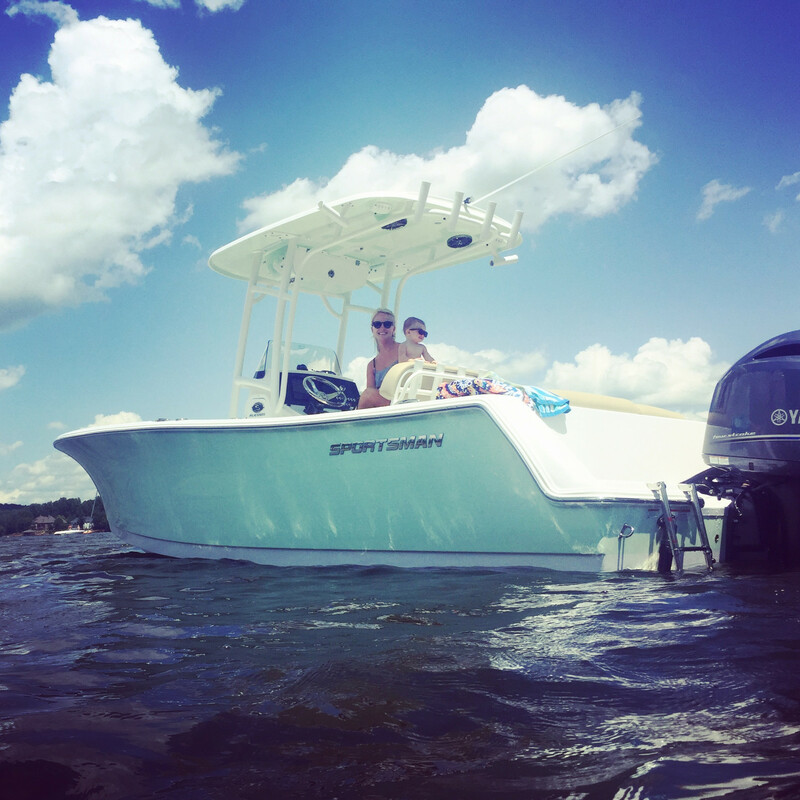 Best boat my dad has ever owned! 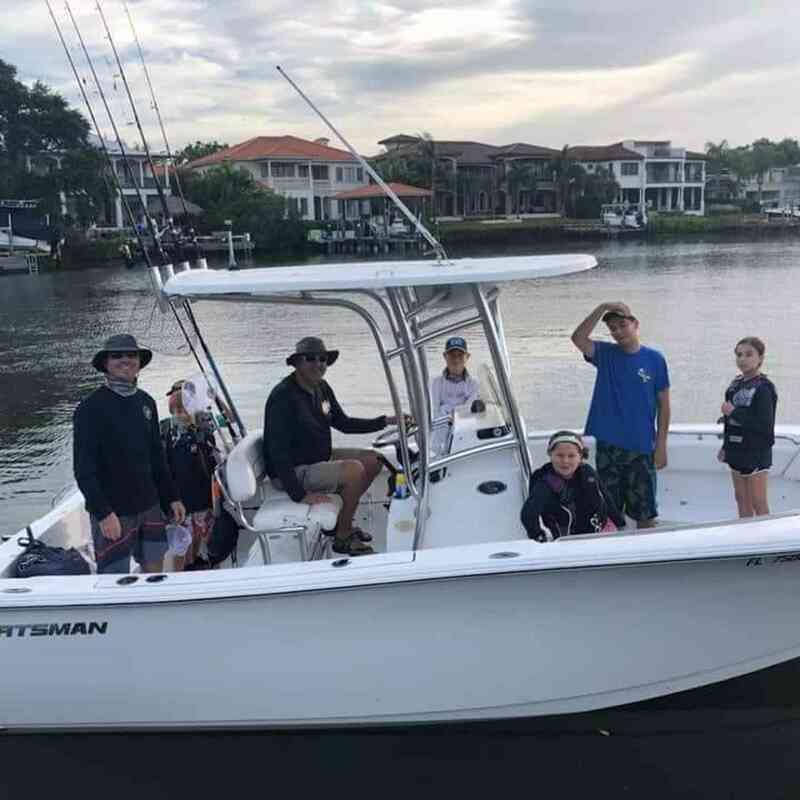 Great all-around fishing and family boat.. Solid features, priced fairly, great quality. 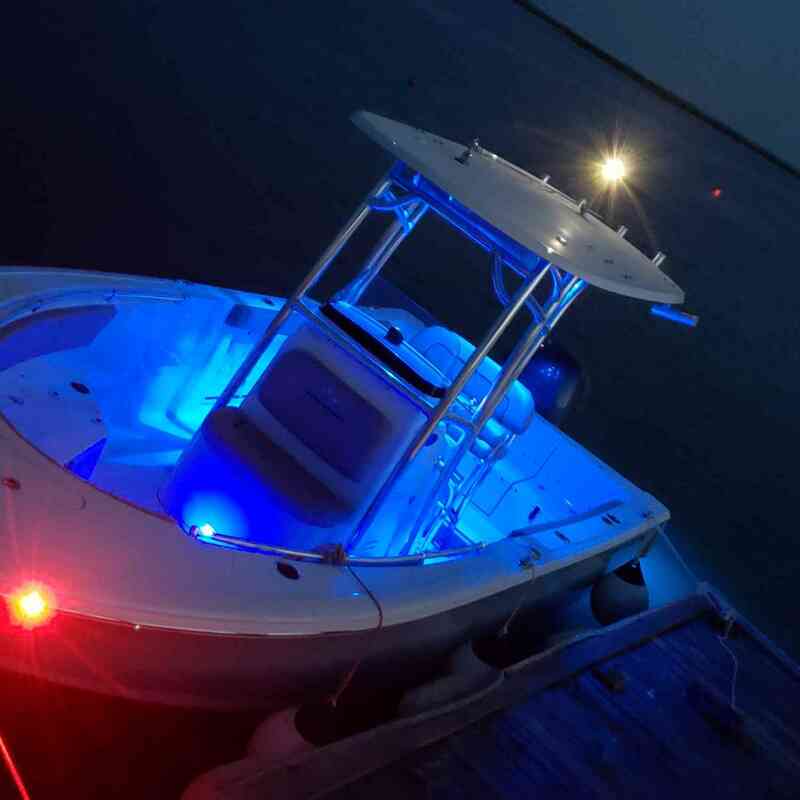 Love this boat! 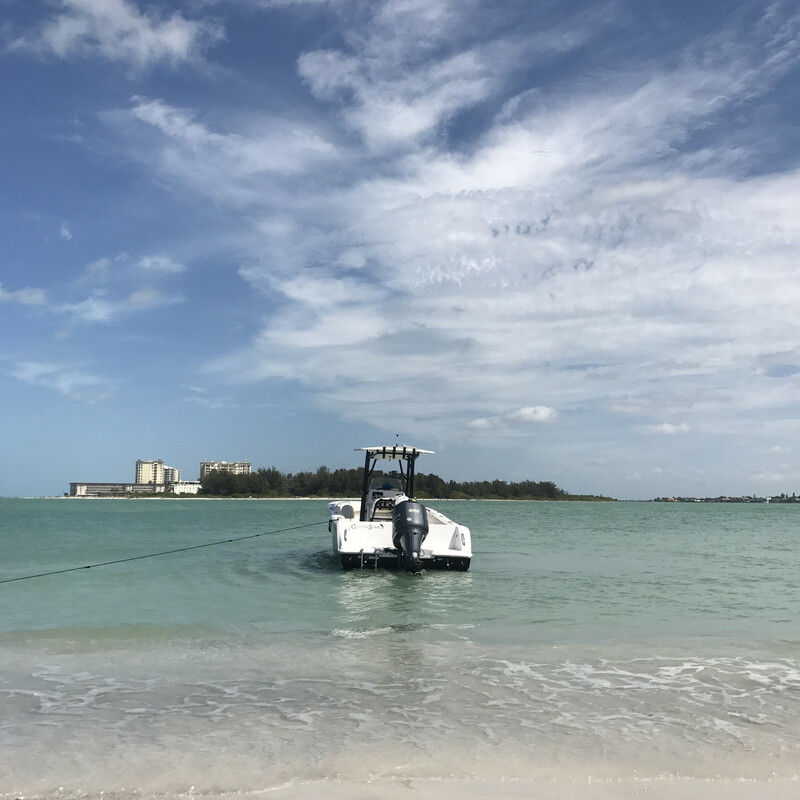 The flexibility to take a total of 12 persons onboard one day and go fishing the next day makes this my favorite boat by far! And the steel blue color definitely turns heads! All round very nice riding Boat. 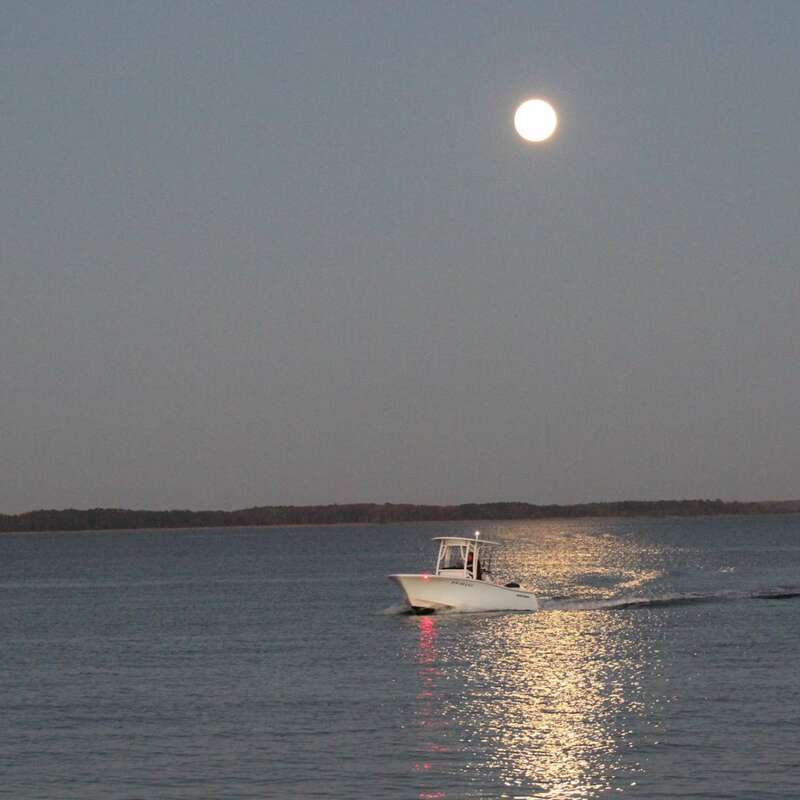 This is one of the best looking CC to be on the Chesapeake Bay. There isn't anything that we can't do with this amazing craft. 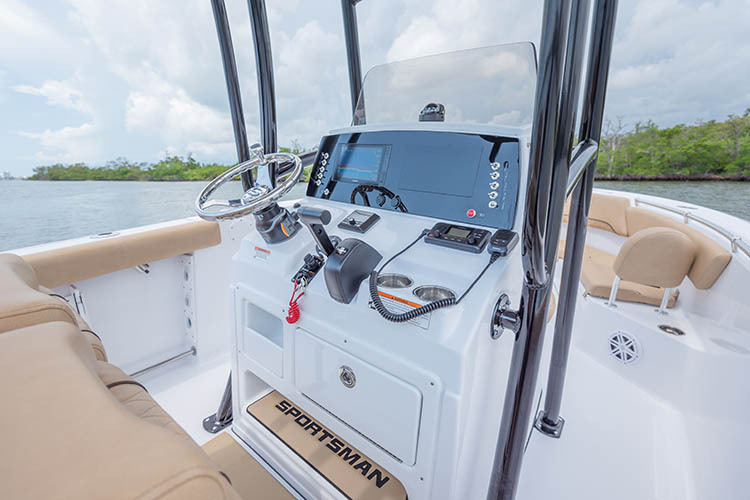 We just purchased the amazing brand new sportsman boat! 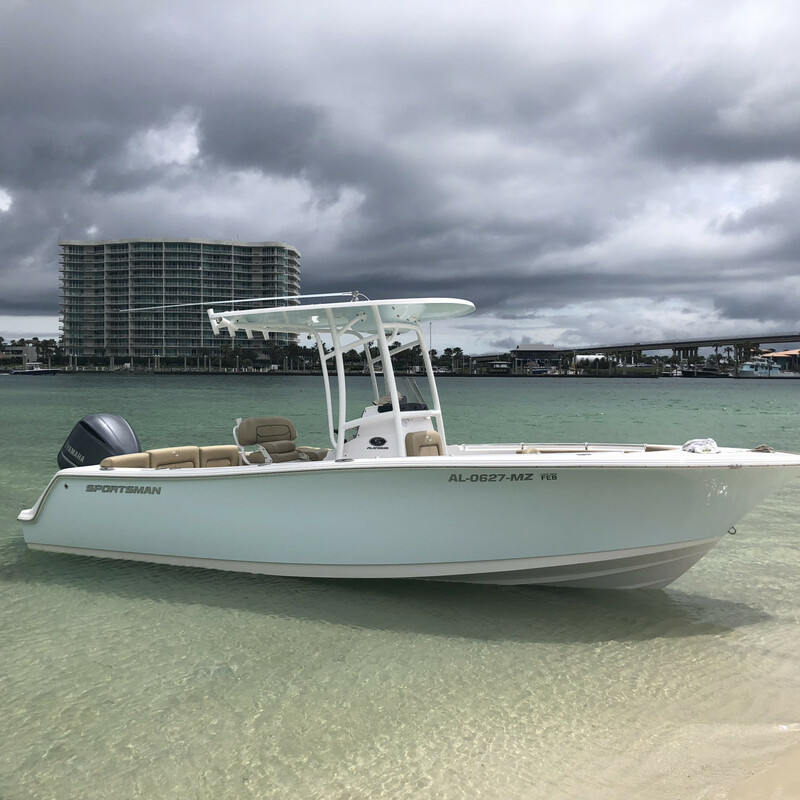 We love everything about this boat!!! 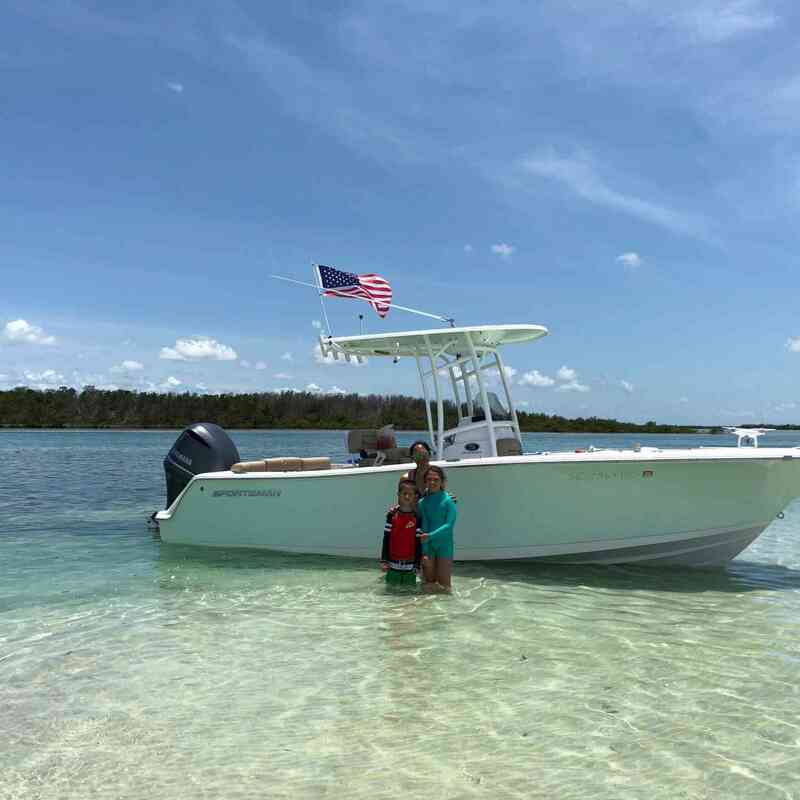 Thank you for making such a good quality boat for our children and grandchildren! 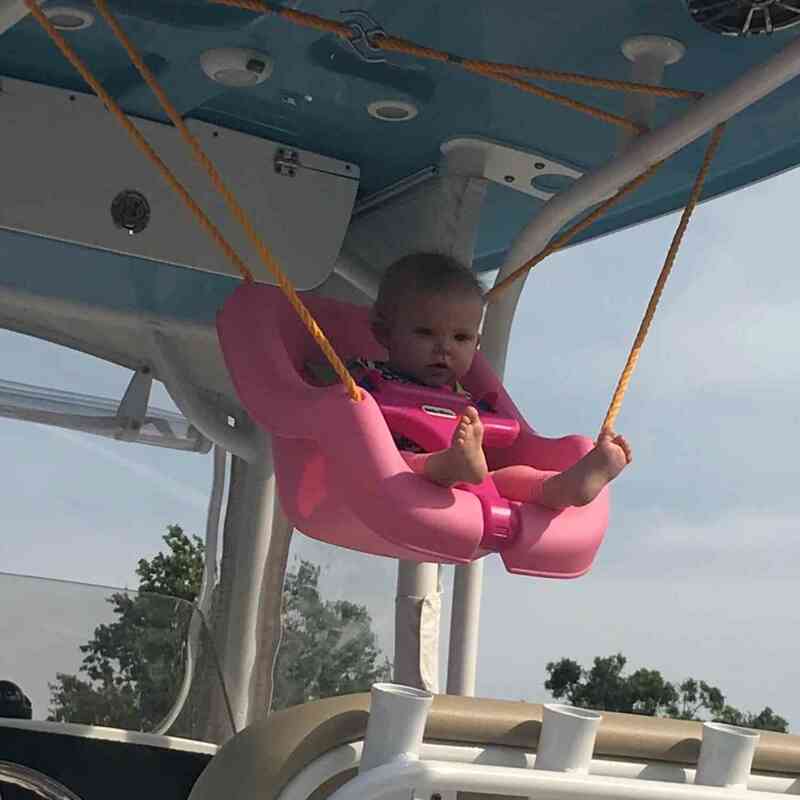 We feel so safe on Lake Erie! 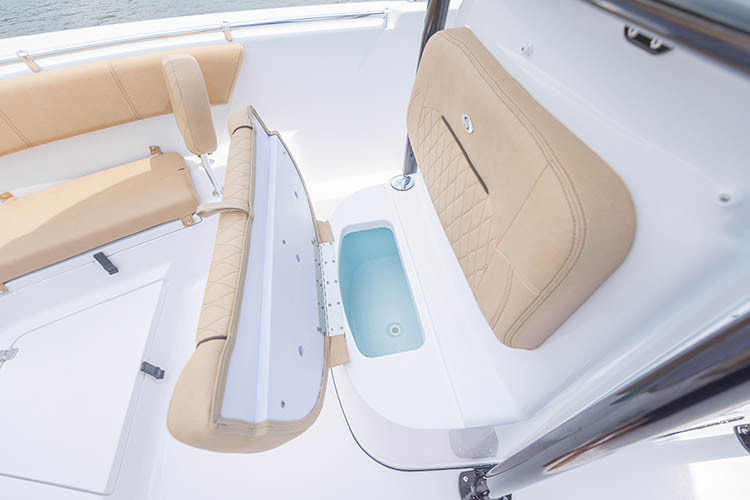 Fantastic Boat with the perfect seating and storage! 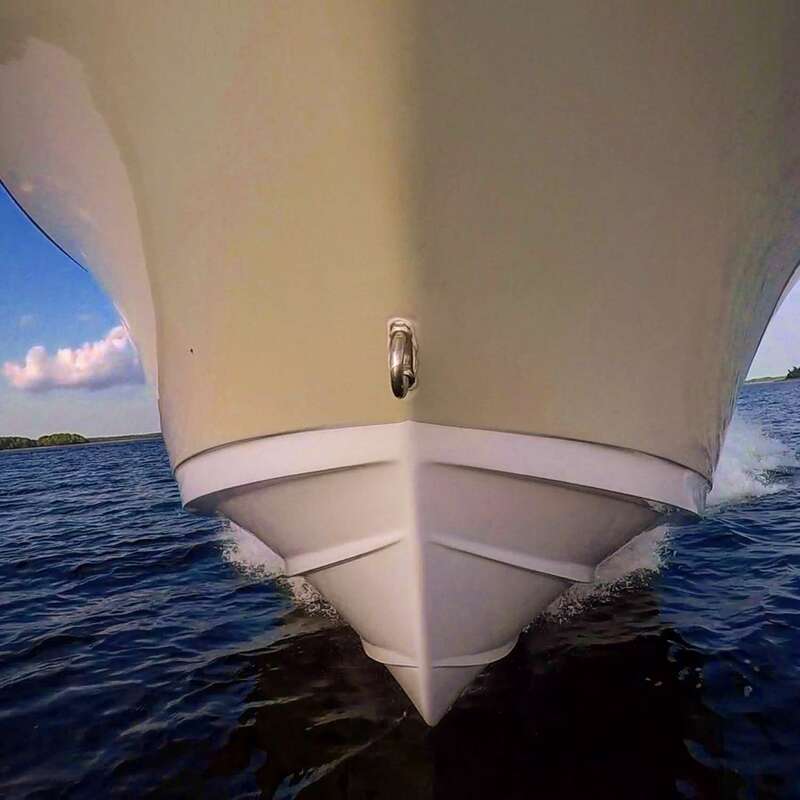 Solid Hull and Power!! 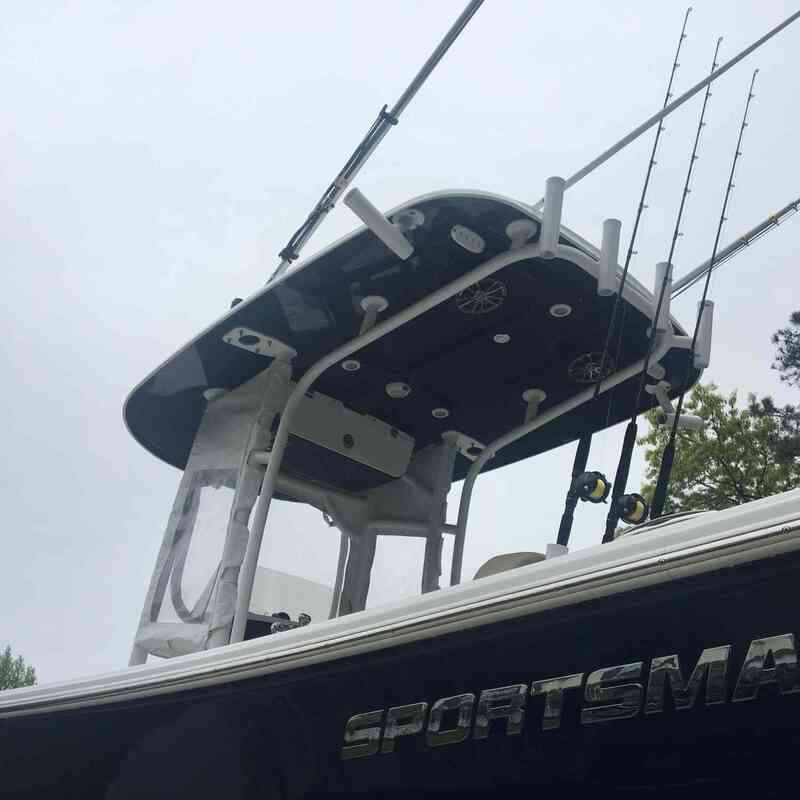 If I wanted a new boat it would be a New Sportsman Heritage 231! 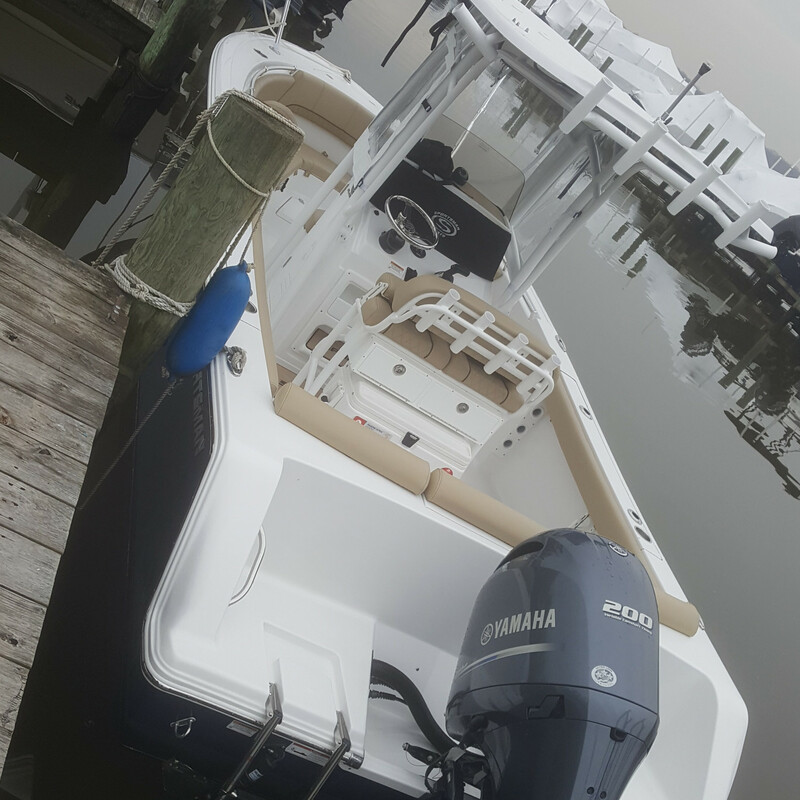 I LOVE everything about my boat! Most of all, I love all of the compliments I get from people! Love the ride. It is smooth and dry. 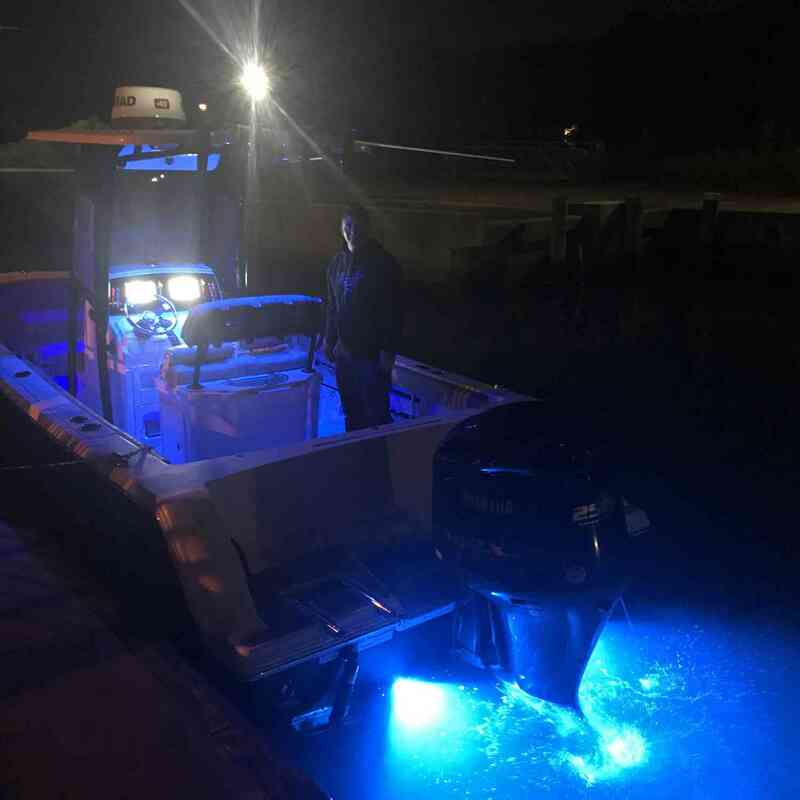 Hull design - this boat eats waves. 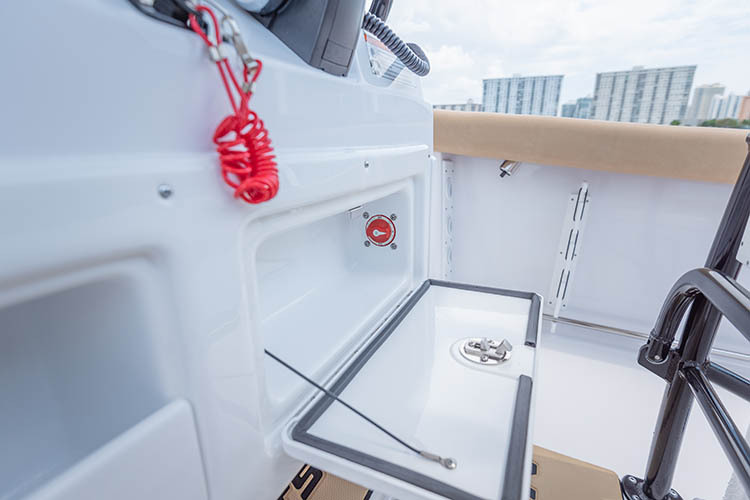 Total Access Hatch is great as well - easy access to storage and maintenance items. My favorite feature is the versatility of the Heritage. 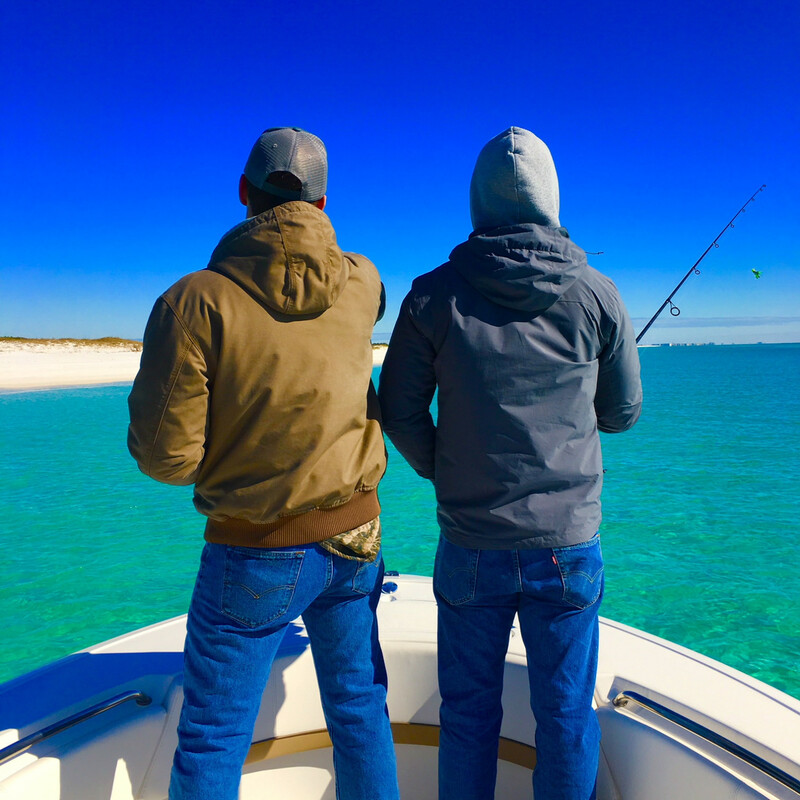 One day you can fit up to 12 persons for a cruise down the coast and the next you can grab your fishing gear and a handful of your friends and still have plenty of walk around space while fishing. 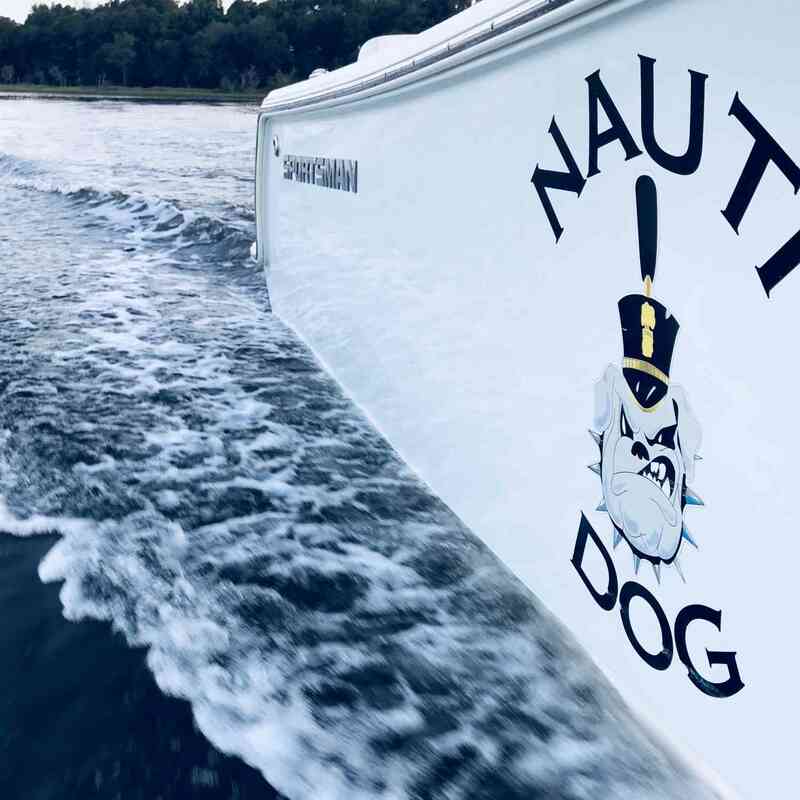 There's nothing this boat can't do! 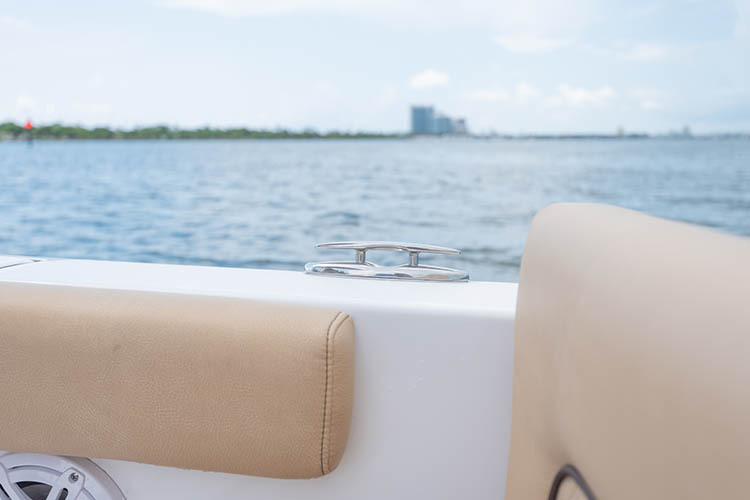 I love the ride quality, the boat handles very well in the harbor. 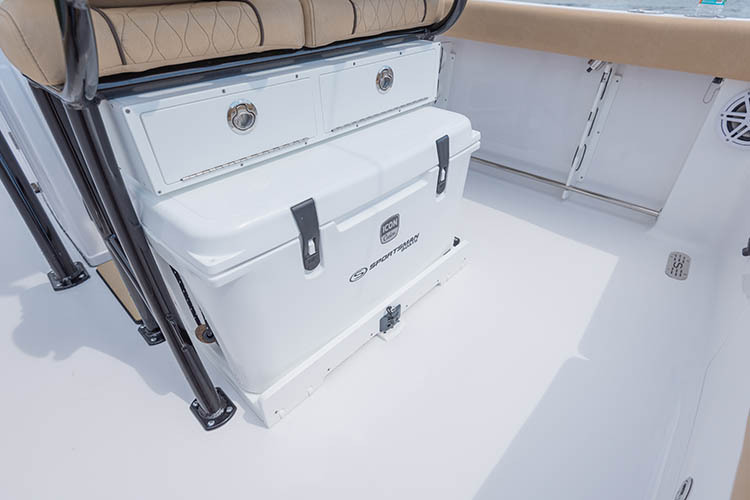 The front console cooler, very easy to get to and keeps drinks cold all day. 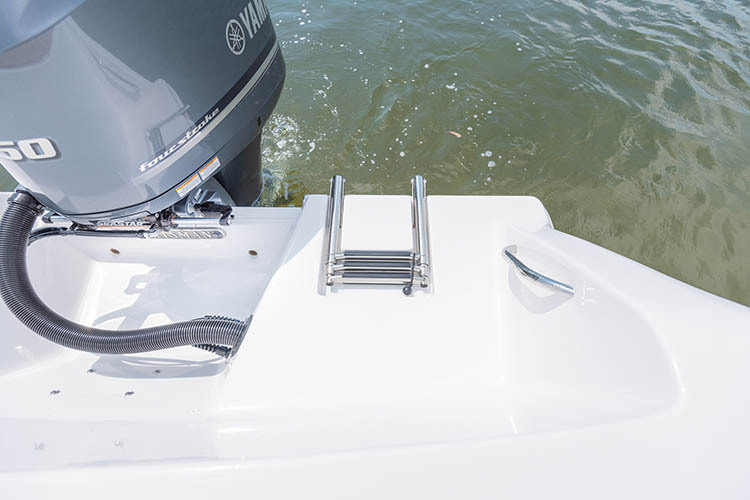 The fresh water wash down, did not have those in my old boat and is nice to keep the boat clean. 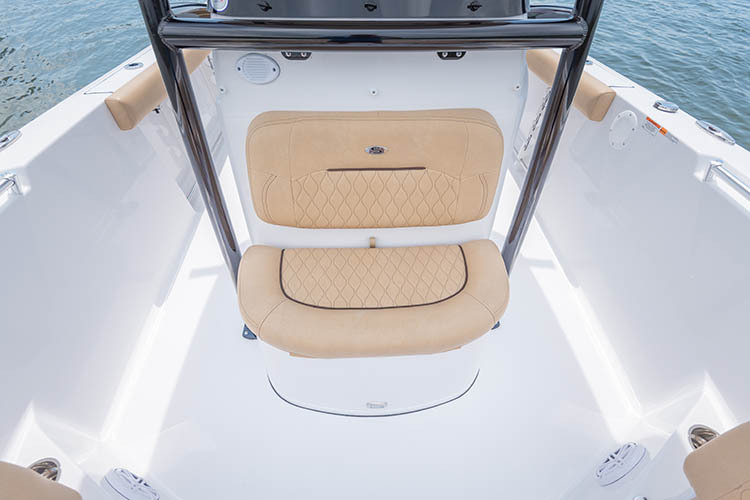 My favorite feature on our 2017 Heritage 231 is the comfortable ride and handling. 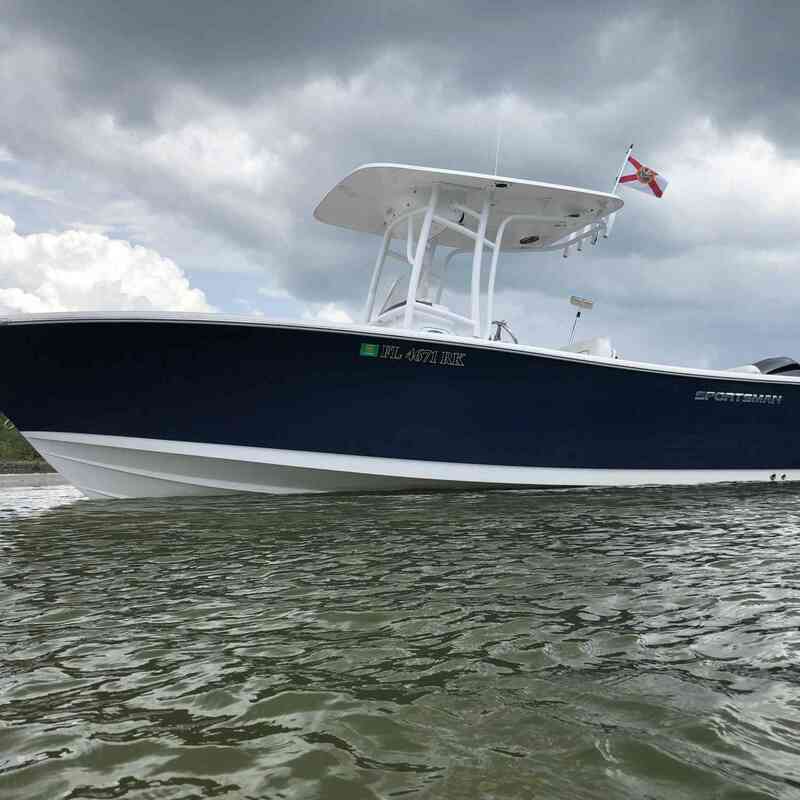 We like the hull design and the ability to handle chop in the Charleston Harbor. 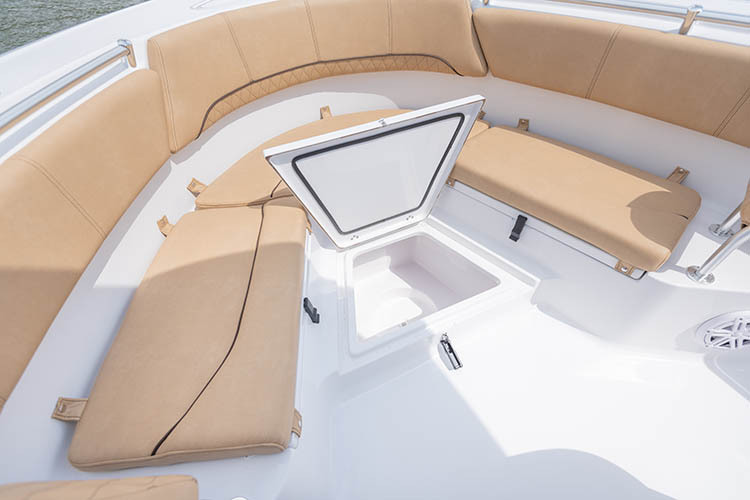 We like the spacious deck plan and the ability to seat 12 people. We can take all the kids and grandkids out in her. 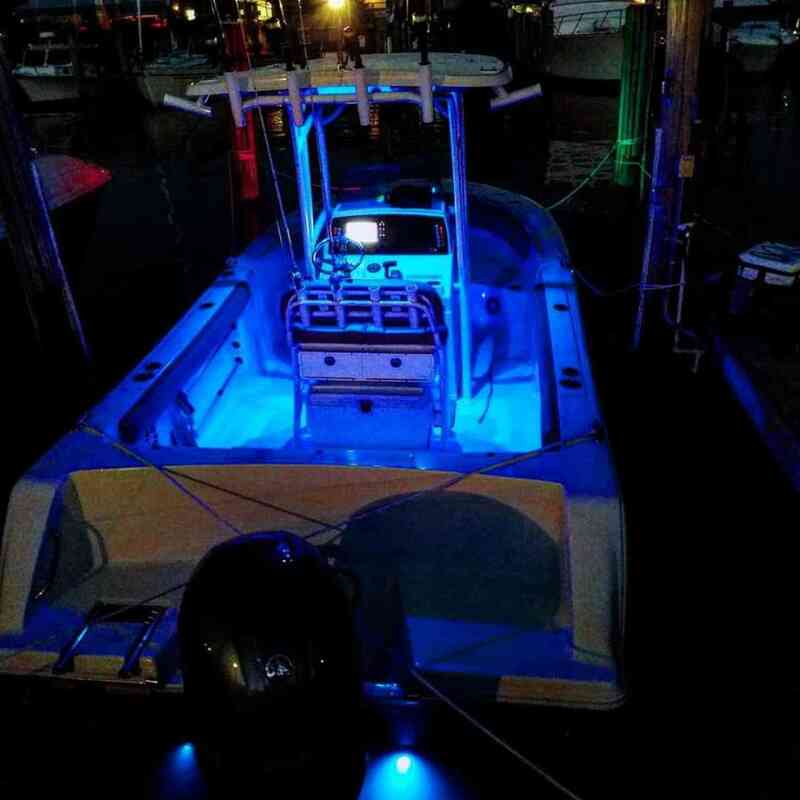 We love the blue courtesy lights . Functional but easy on your eyes. 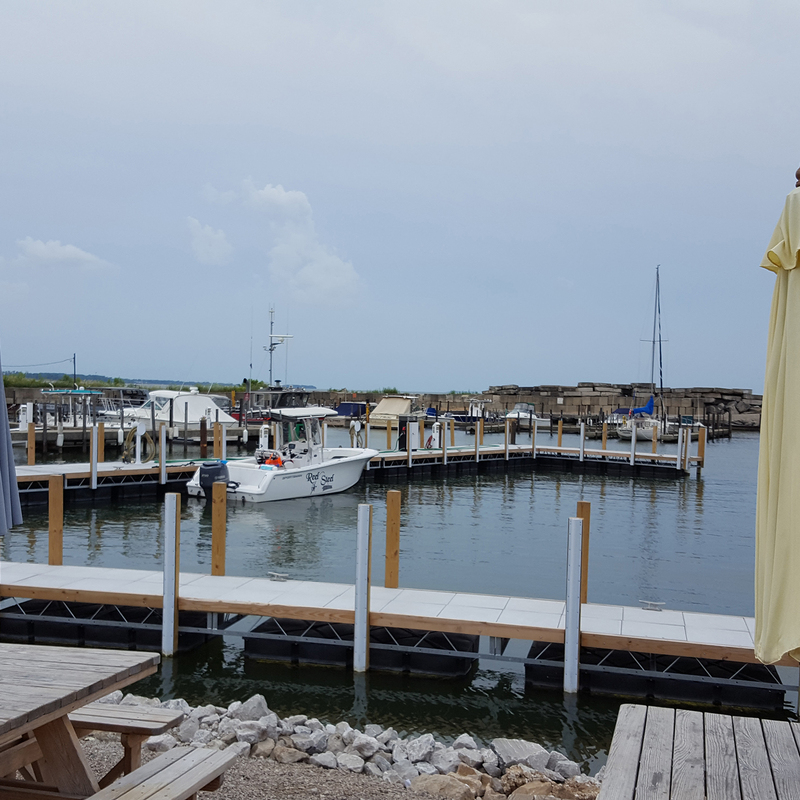 We really like the deck plan and all of the comfortable seating for the family and grandkids. 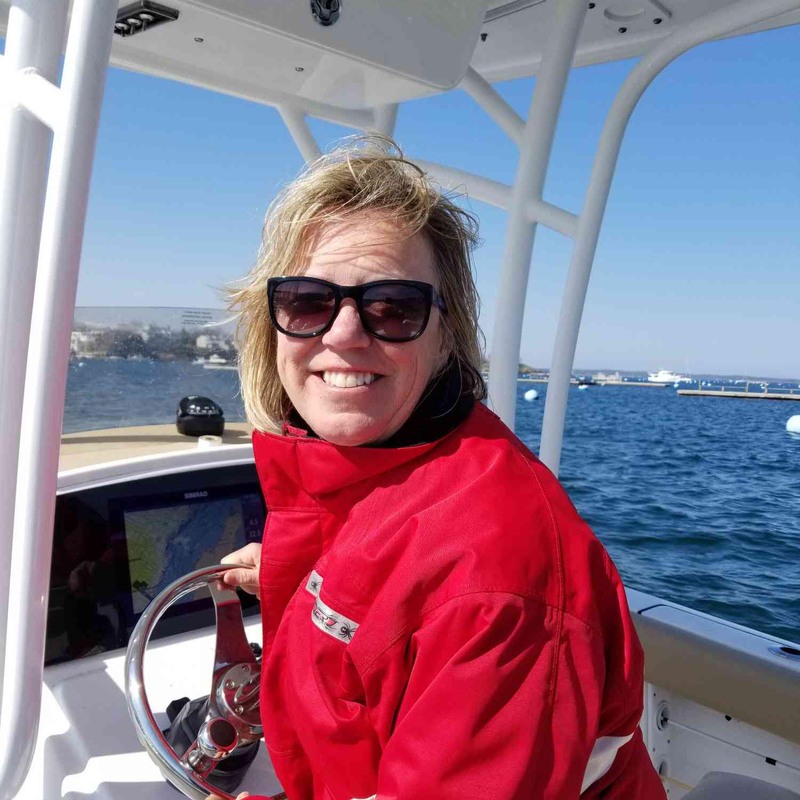 Love the Simrad electronics package. Easy to read at all light conditions. Can customize all the the display screens to see what info you want. 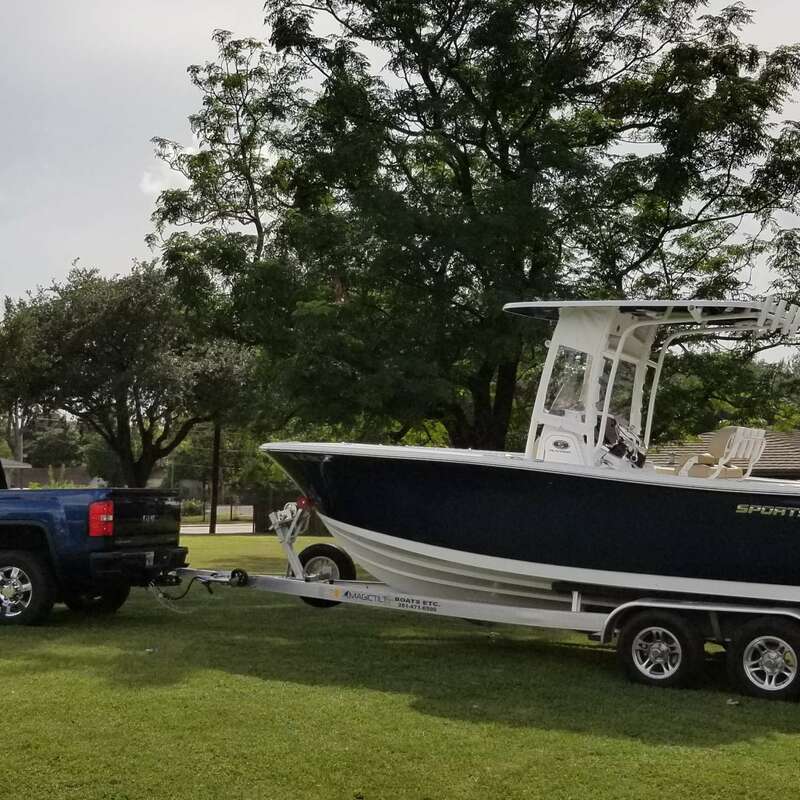 Going on four years with this boat and I'm just as happy with it today as the day I bought it. 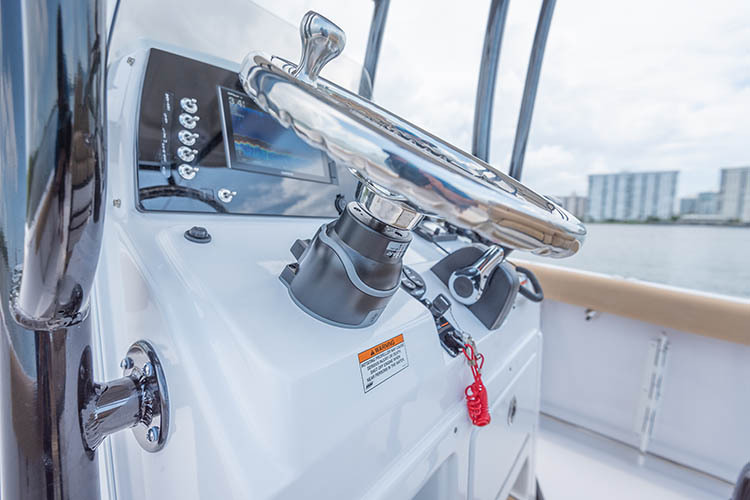 Other than the beauty of the hull and the ride, it would probably be the dual Simrad 9" electronics. Or maybe the Yamaha 250! 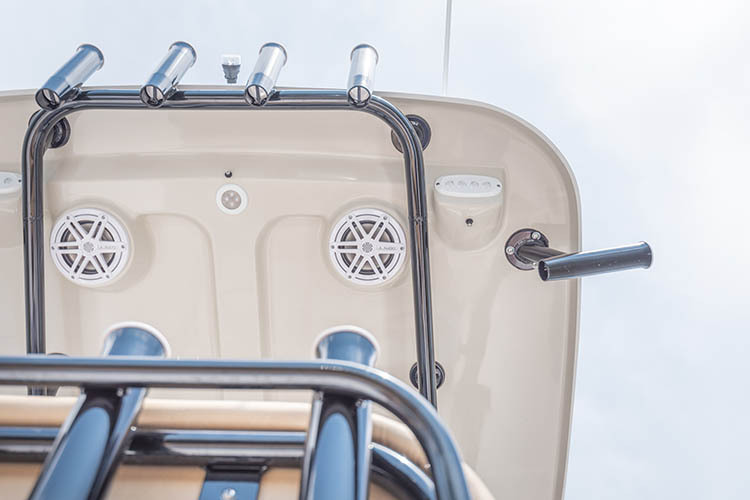 My favorite feature on our 231 Heritage is the cooler slot. Without it our trips would be much different! 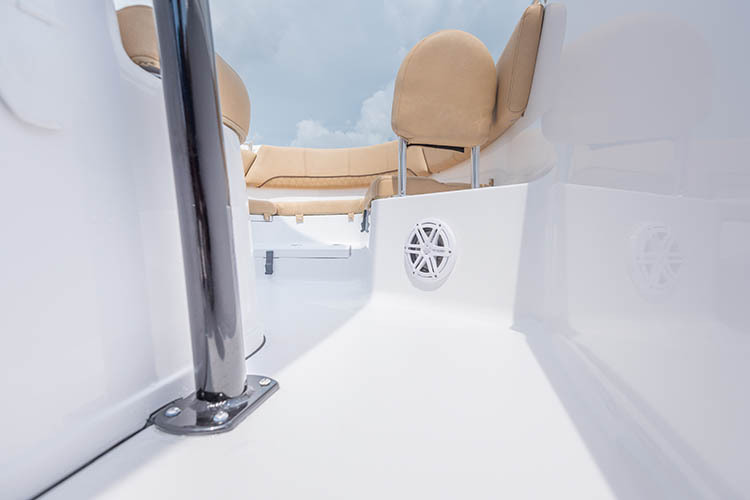 The storage space on the boat is a must for all of our scuba gear. 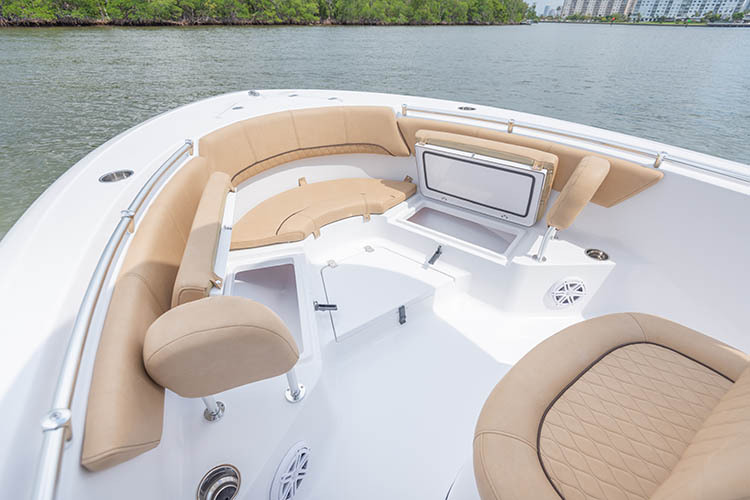 One of my favorite features on the Heritage 231 is the family friendly bow seats. One of my favorite features of my Heritage 231 is the amazing amount of storage. We had 6 adults and 4 kids headed to the beach for the day and all things were stored securely away. I like the open deck plan and the spacious seating. 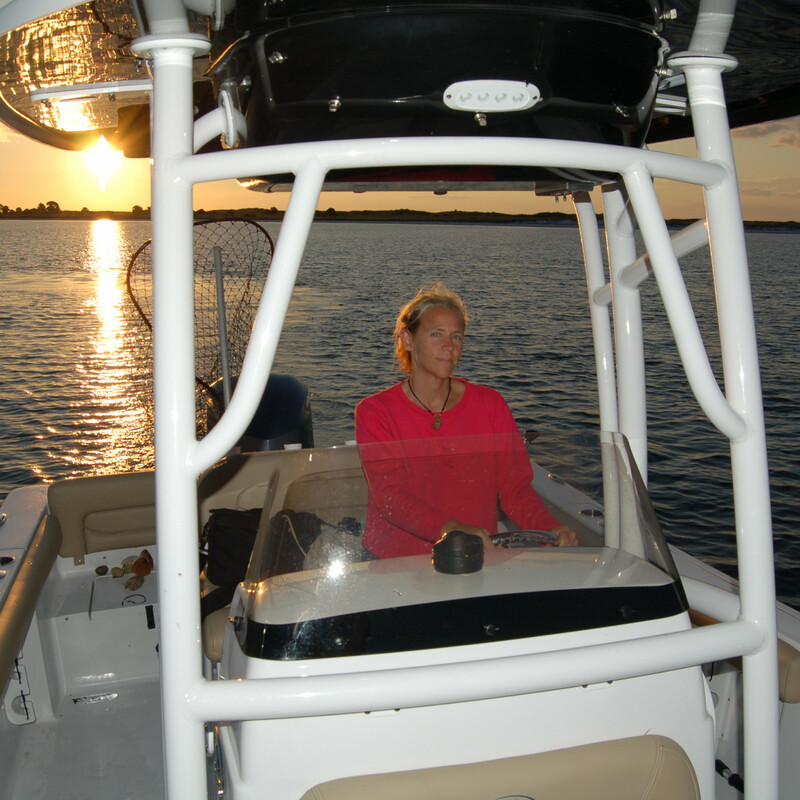 I love the flexibility of the boat. 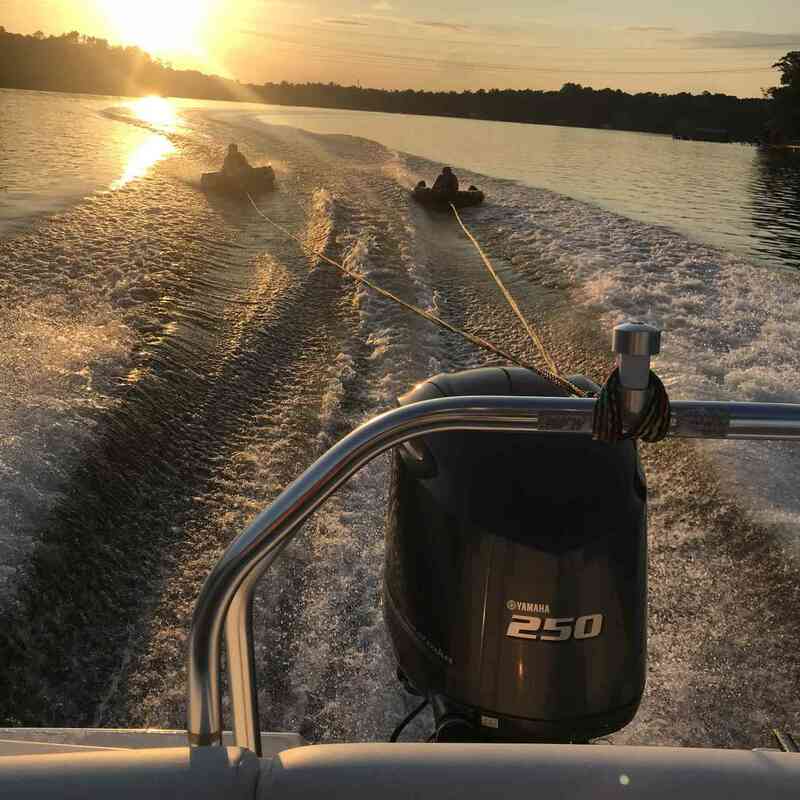 I can fish in the mornings and wake board the rest of the day. You truly can have it all. 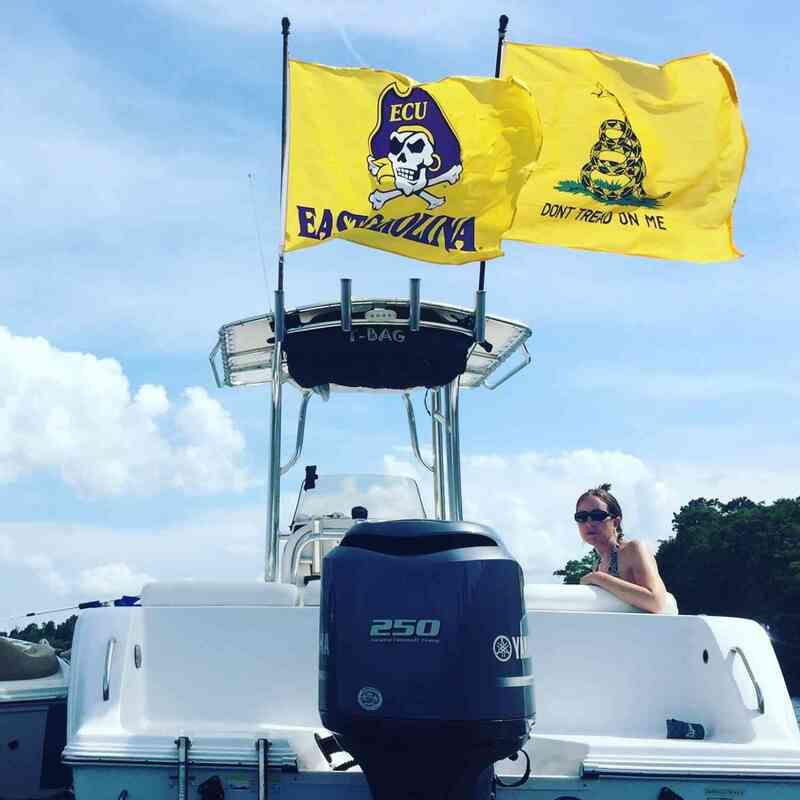 She's a dry ride even offshore. 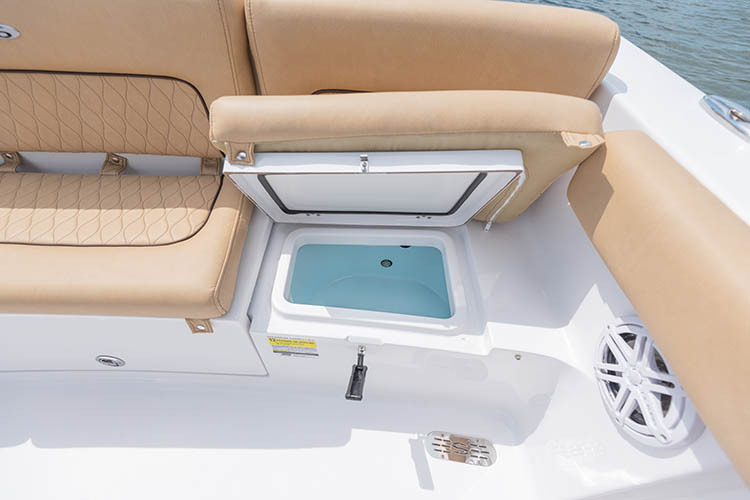 Favorite boat featur is the maintenance friendly bilge access. 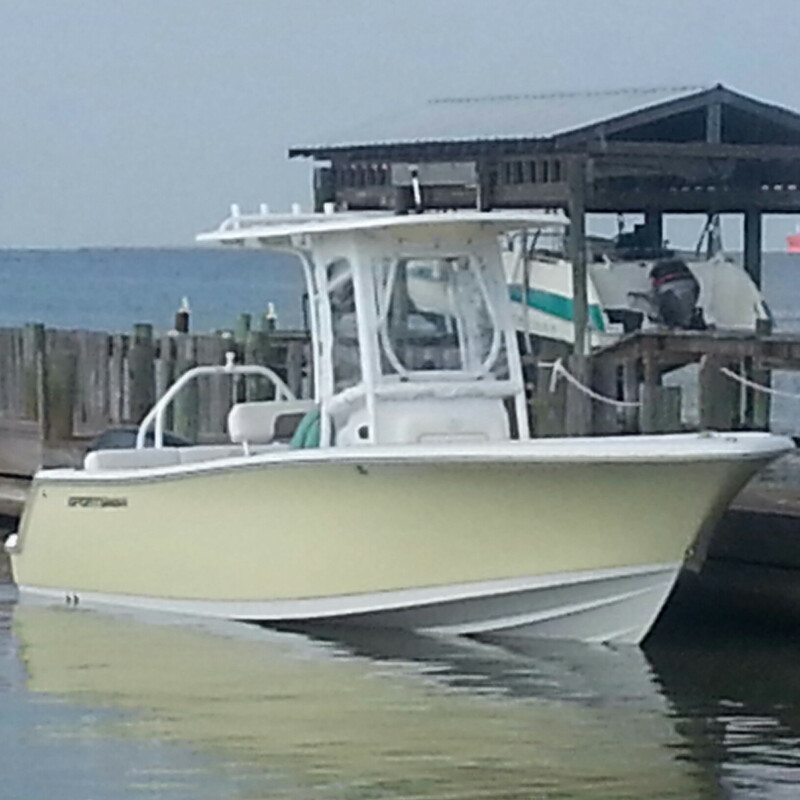 My favorite feature is the Mister because it can get hot at the sandbar in Sebastian Fl. in the summer and its a great way to stay cool. 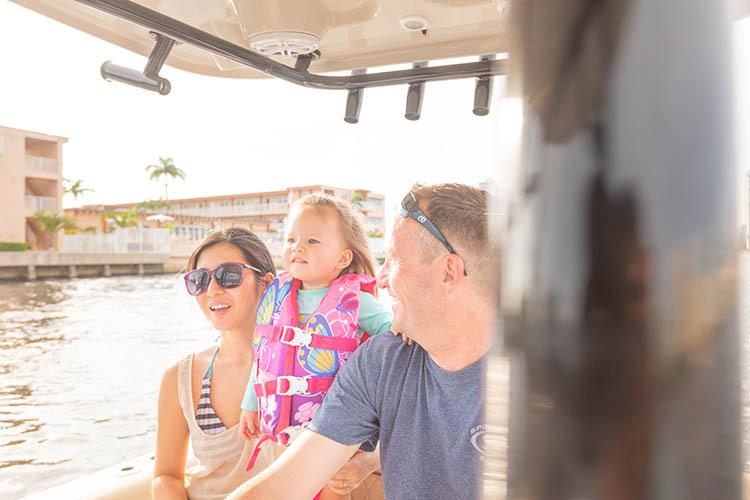 Not just for fishing...family boating is great too! 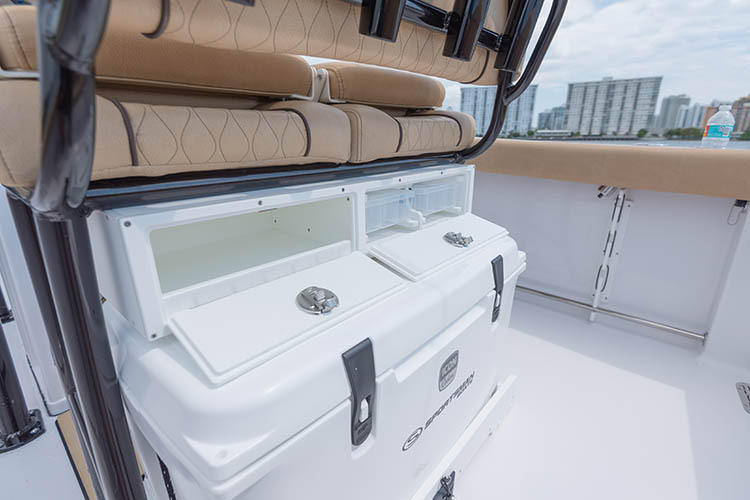 Lots of storage to hold a lot of stuff and still keep the deck and cabin clear and free of clutter. I like the bow/hull design. it cuts through the chop nicely and keeps you dry ! 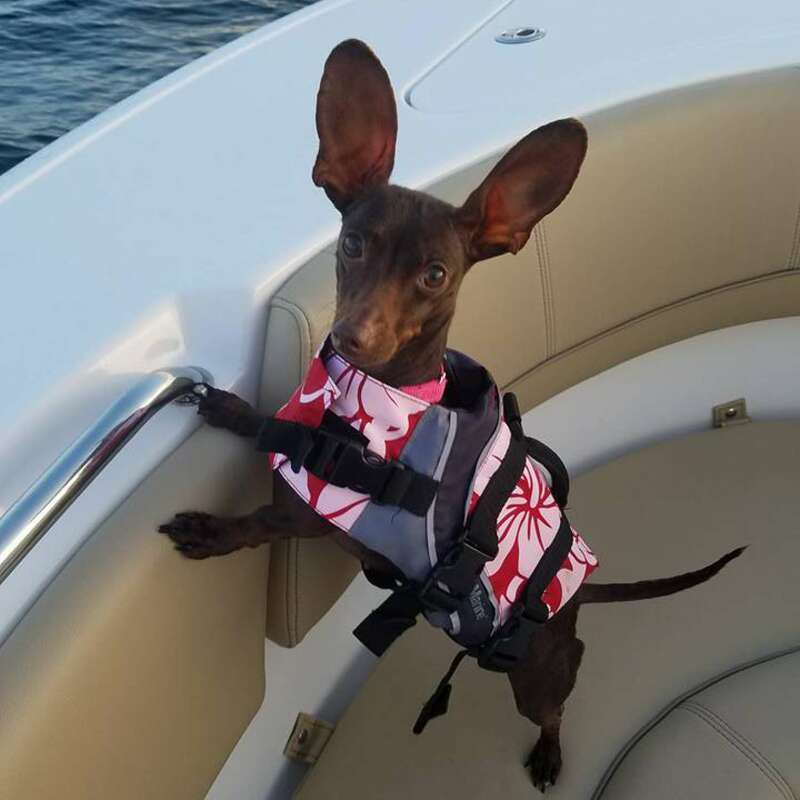 Get Me On That Boat! 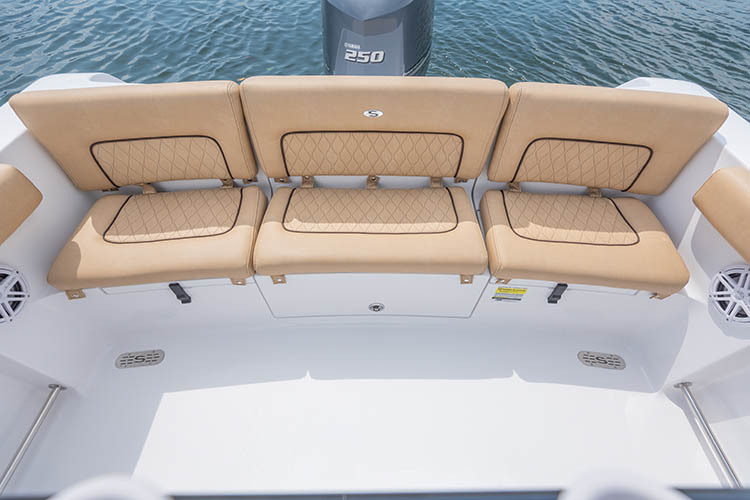 My favorite feature on my Heritage 231 is the seating configuration. 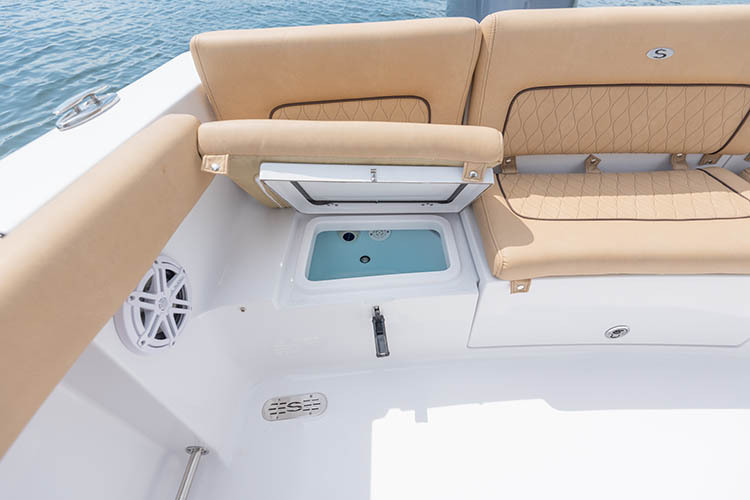 We can put all the cushions out and do some cruising and entertaining (with room for all) or we can stow them under the console and get ready for some serious fishing! ...and the rear access hatch is a strong contender too! 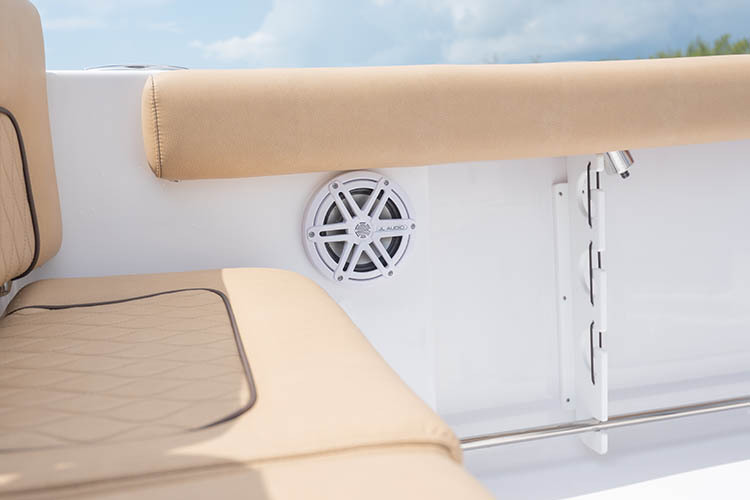 My favorite feature of the boat is the sound system. You don't need to have it super loud in order to hear the system. It's hard to say one thing, but at the moment I think all the compartments and beautiful color! 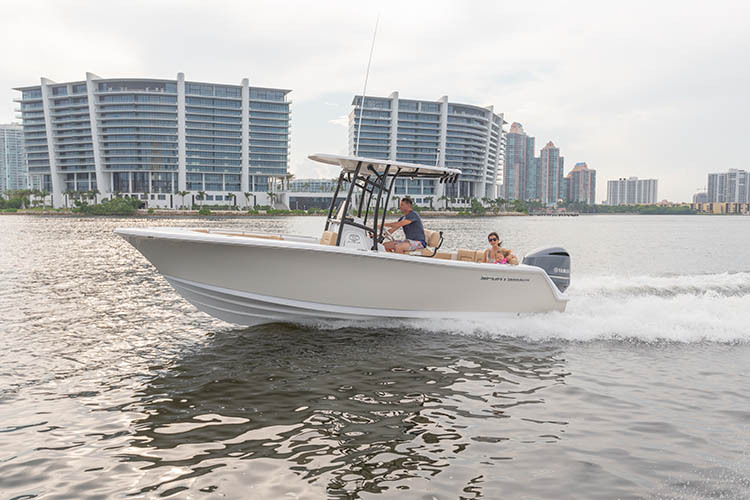 My favorite features on our Heritage 231 Platinum are the amount of space you get for the size of the boat and the way it cuts through the chop. My favorite features is the 3 live wells especially the leaning post live well, love the windlass too!! The best thing I like about my 231 Heritage is the engineering and design. 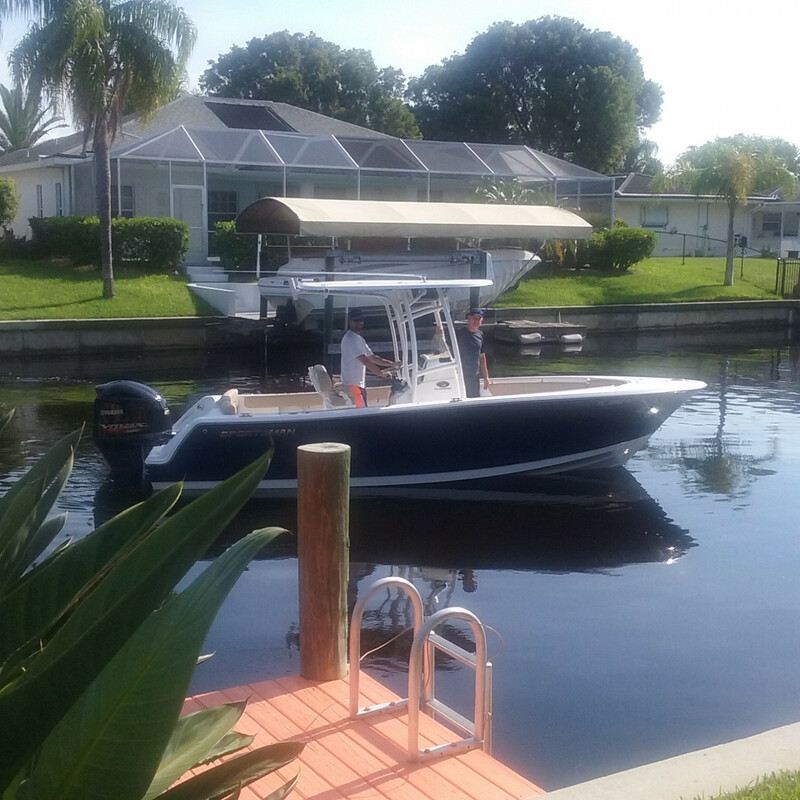 This is a full on fishing machine but it was an easy sale because it transforms nicely into a family boat. 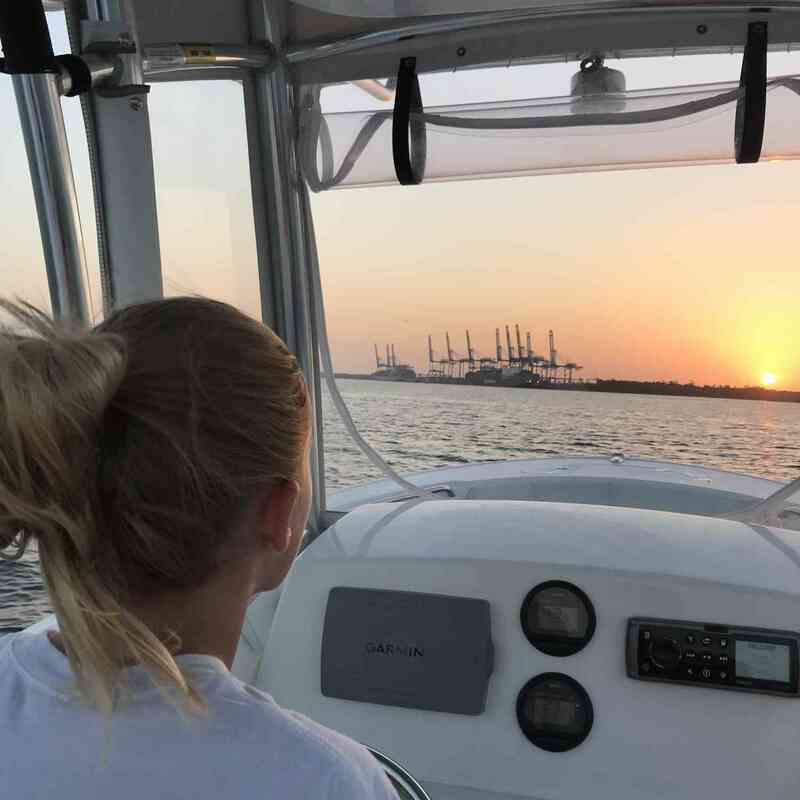 The boat is awesome for heading to the Snapper banks and burns very little gas. 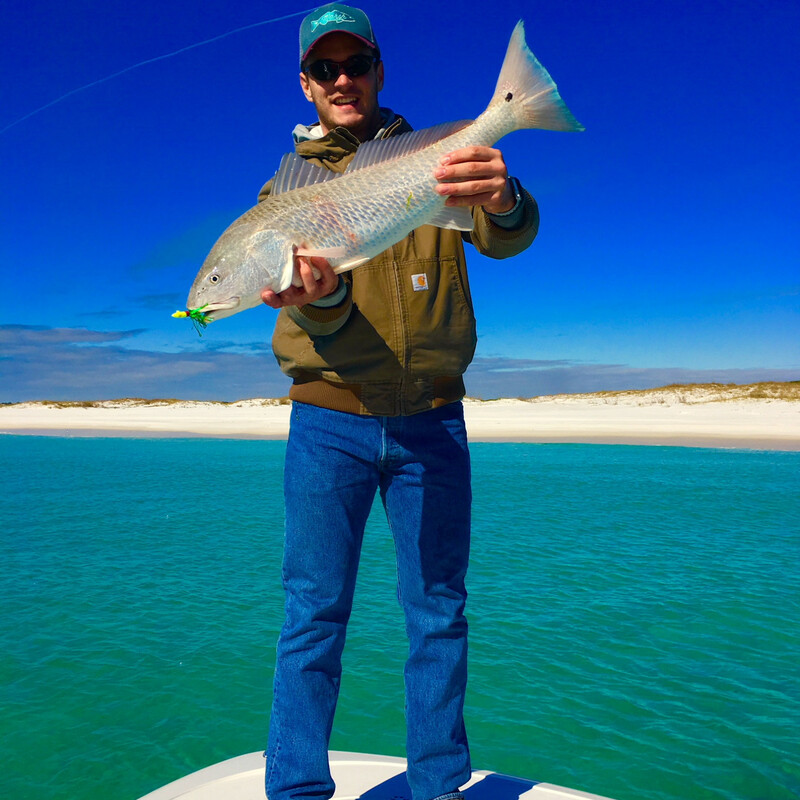 It also does great getting back in the skinny water for Reds and Trout. When the family wants to go to the beach or riding, I throw in the cushions an everyone has a comfortable place to ride. With 6 kids room and space to function was a big issue for me, but we all have plenty of room. 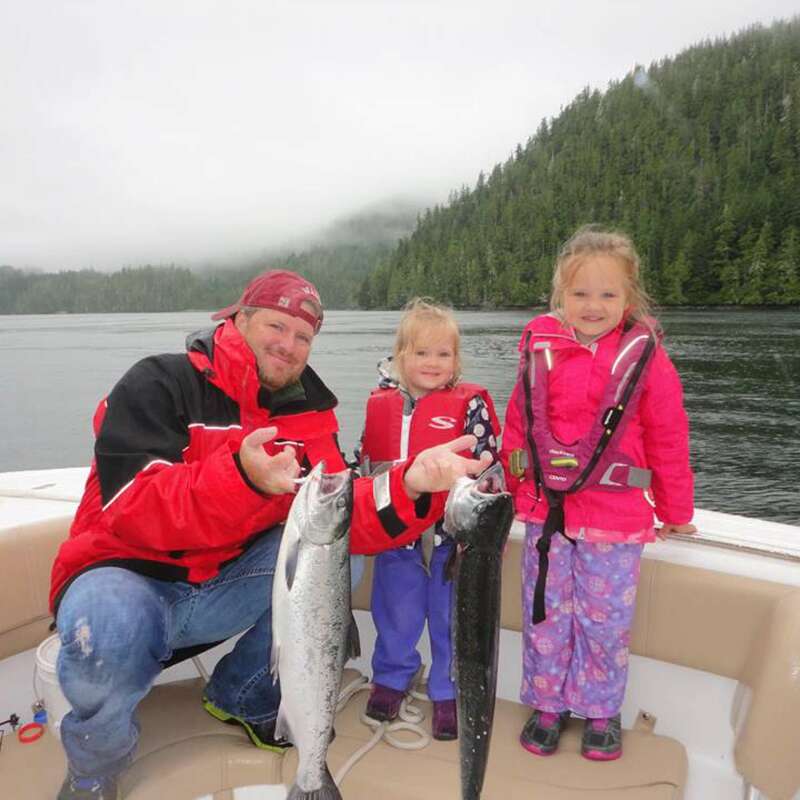 My wife and daughters love the freshwater rinse off they say they don't like the "sticky feeling". The Yamaha 250 is super quiet and it quick out of the hole. It will go faster than I ever want to cruise! 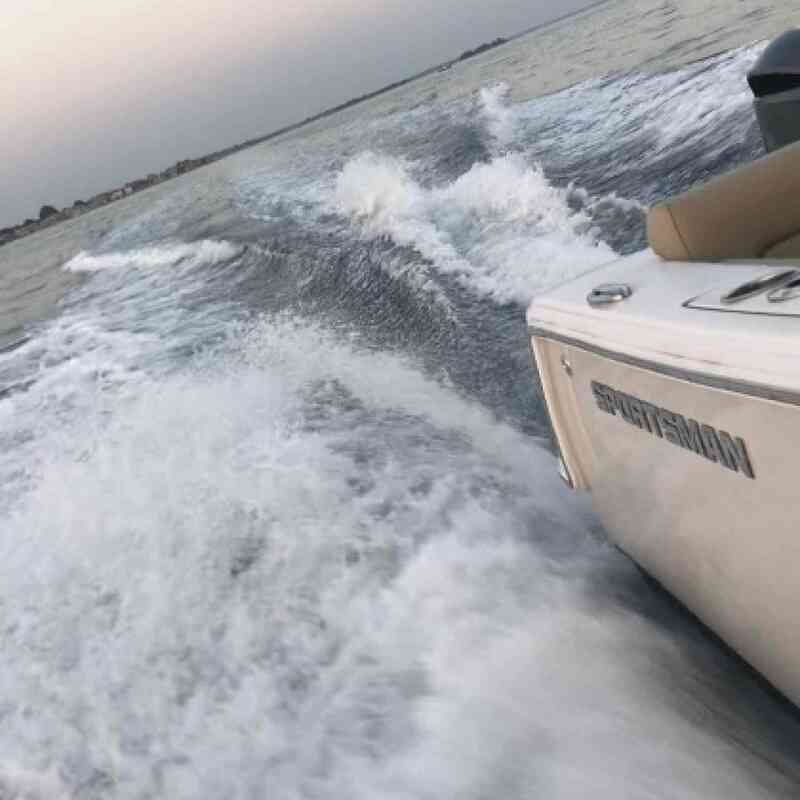 We have really tested the boat this summer, I bought it in May and already have over 120 hours on it. 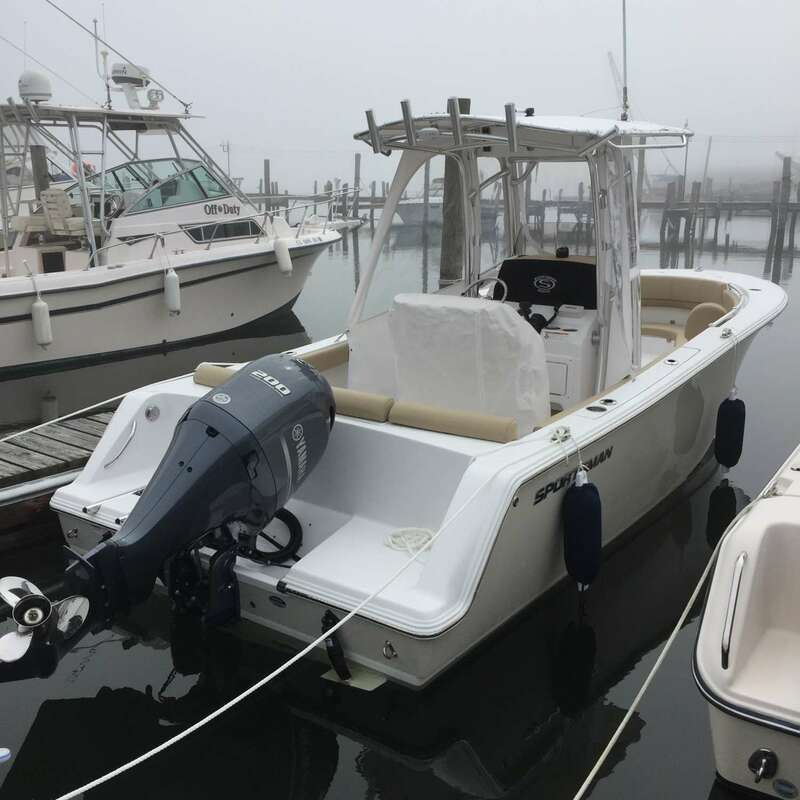 It is currently in at the Dealership getting the 100hour service and I'm having a second SIMRAD 7 inch installed. 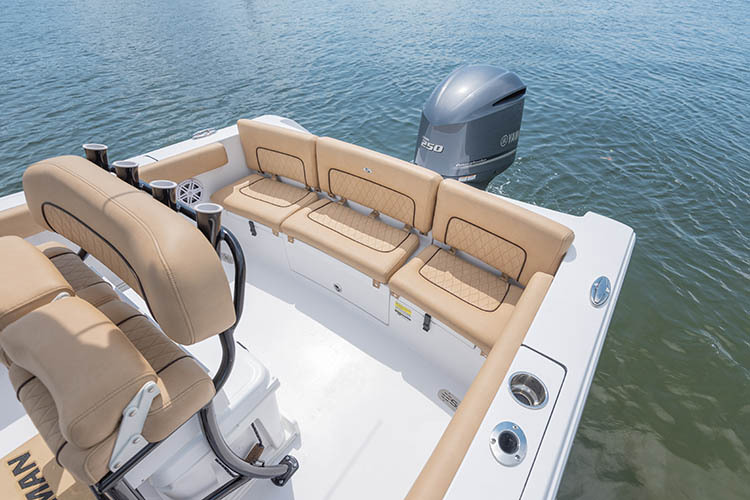 Seating on this boat is amazing. 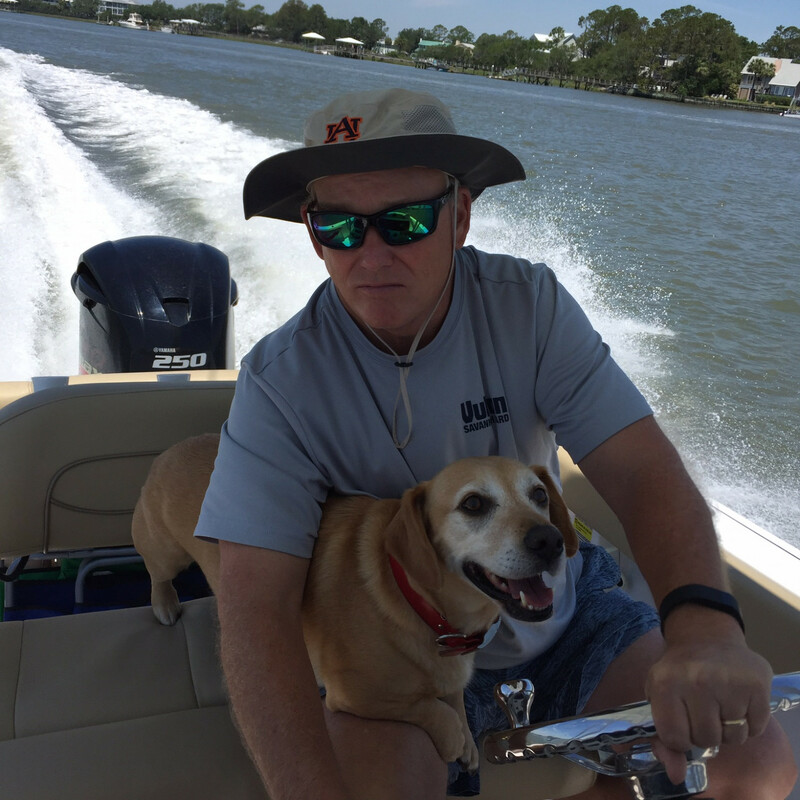 Out of all the boats I have owned, nobody was ever comfortable seating up front until now! 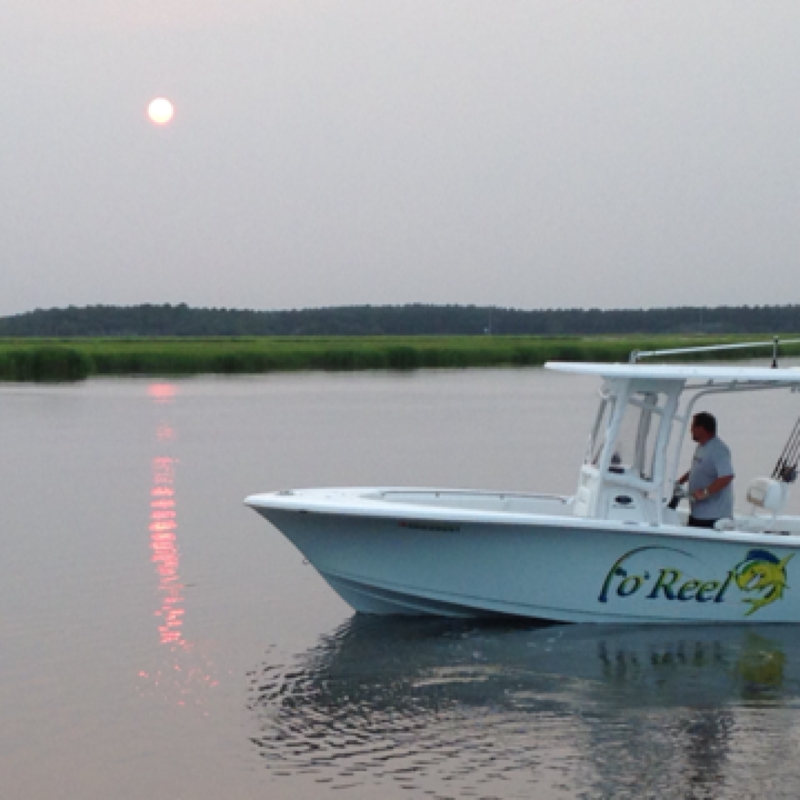 It's just a very well built boat that catches a lot of big fish. What more could you want? 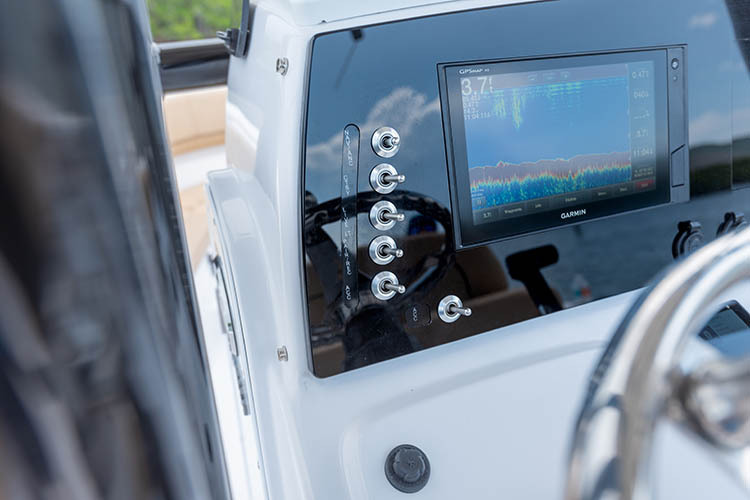 Simrad- If you can't catch fish on this boat you just can't catch fish. I love all the seating ! 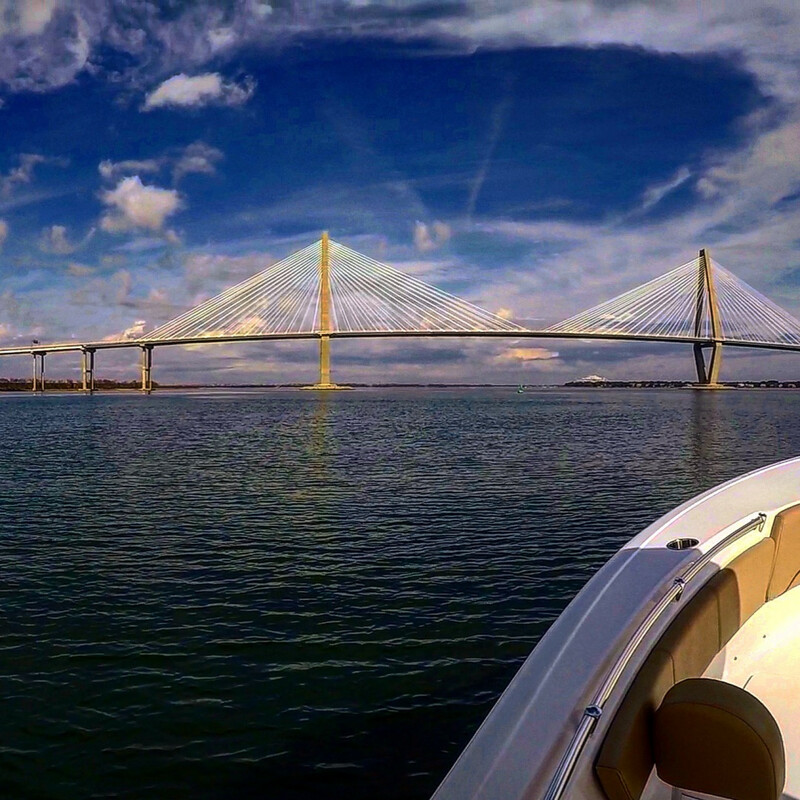 Day Tripping On The Harbor. Favorite feature are the T-Top misters. 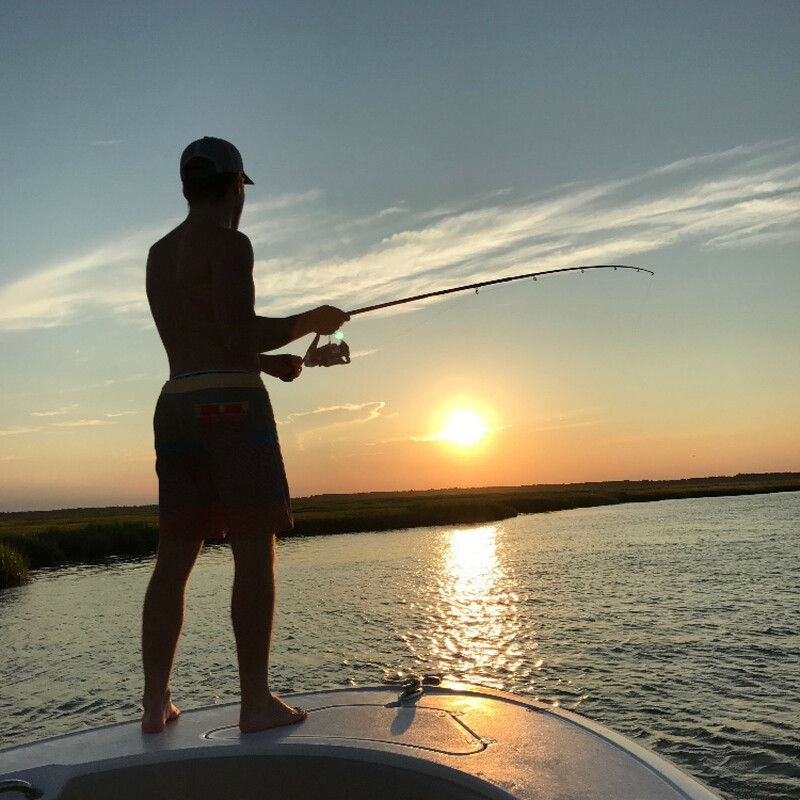 Great to have on those hot fishing days. 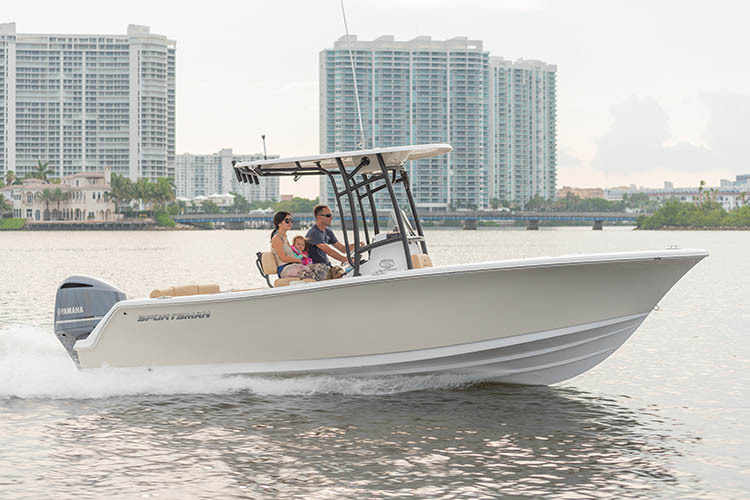 It's roomy and comfortable for passengers for a casual cruise, but also built to withstand the open water. 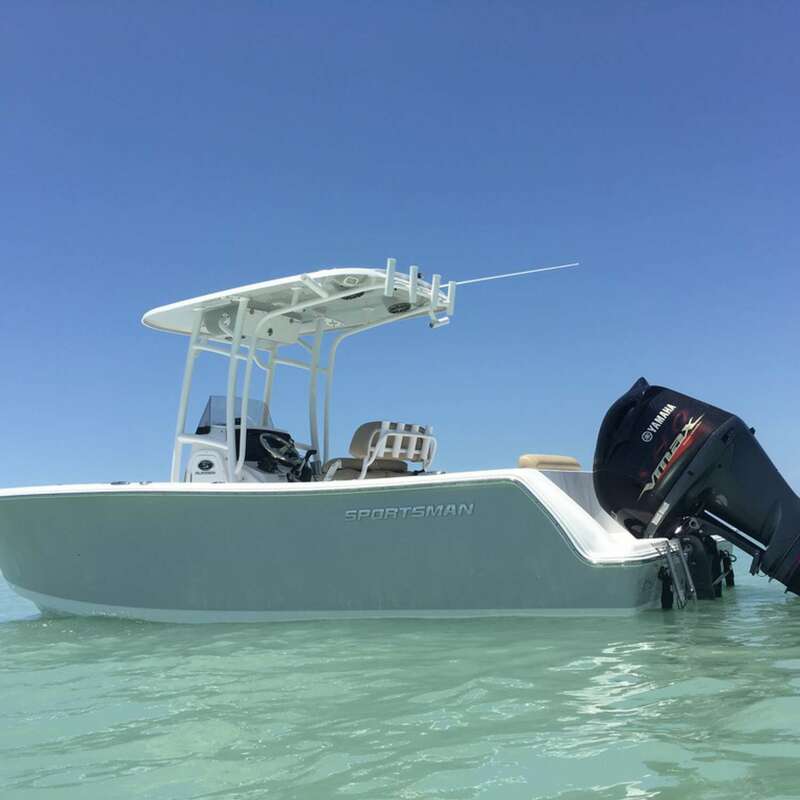 Quality, well made boat! Where do I start? 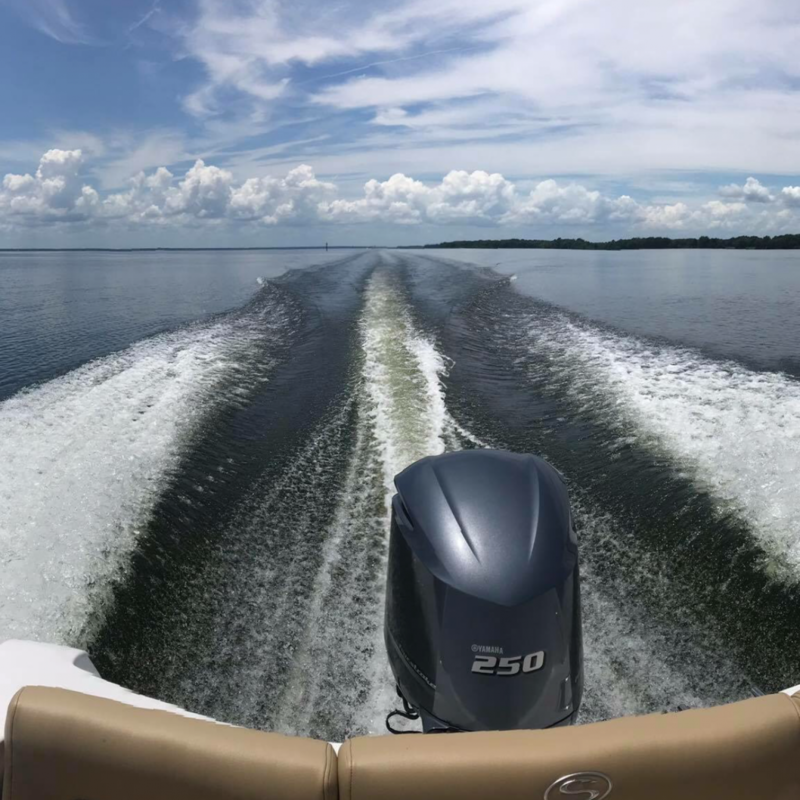 I believe that the favorite feature is the whole boat. We have not found one thing we are dissatisfied with. 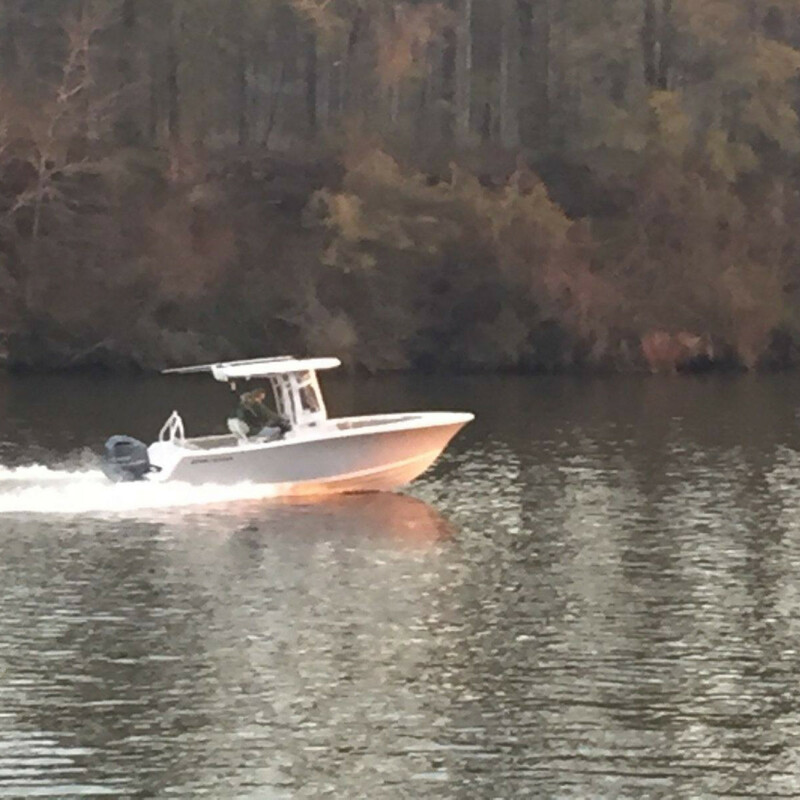 This by far has been the best boat we have ever owned. Totally in Love! 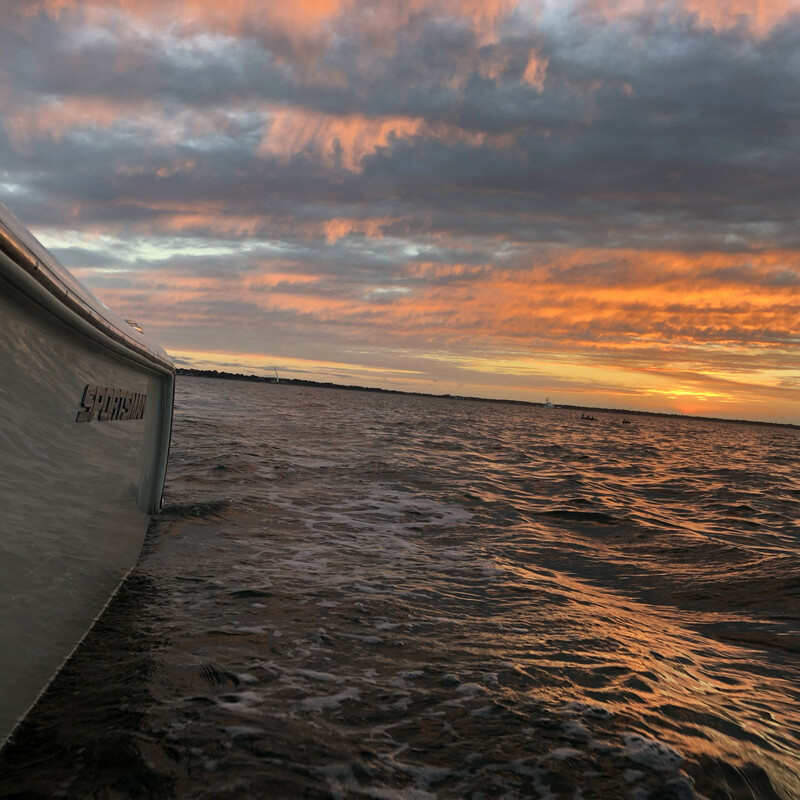 Already awaiting our next time out on the water. 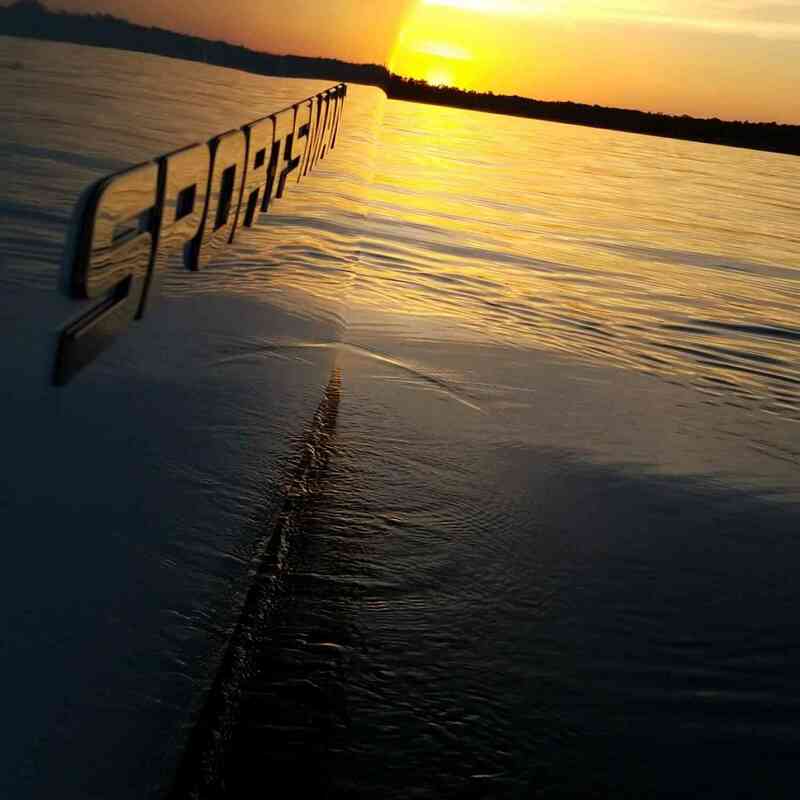 The boat as a whole is my favorite. 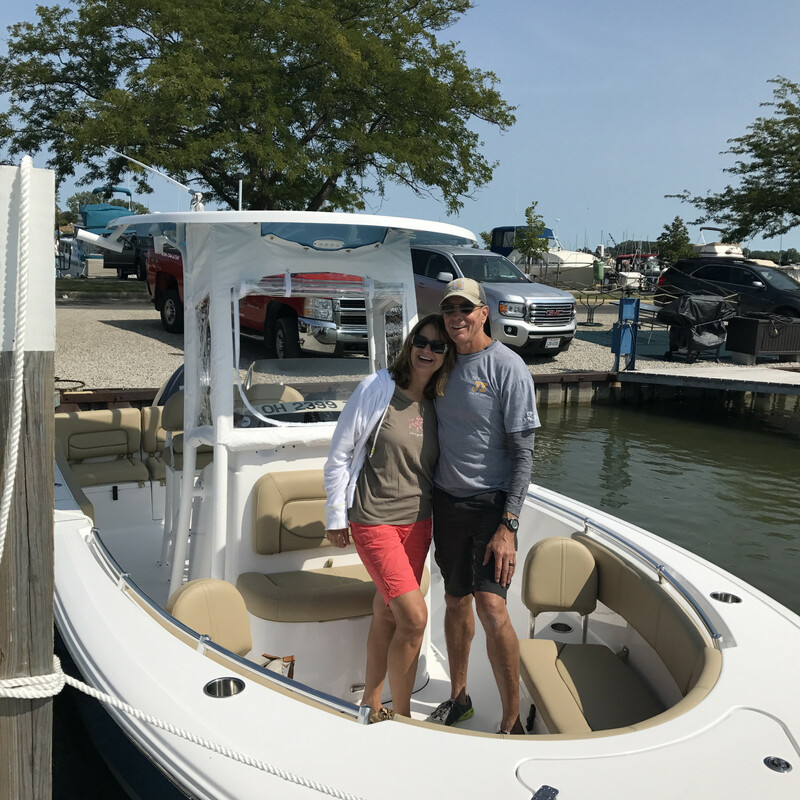 We waited a long time to get our boat. Totally in love with it.